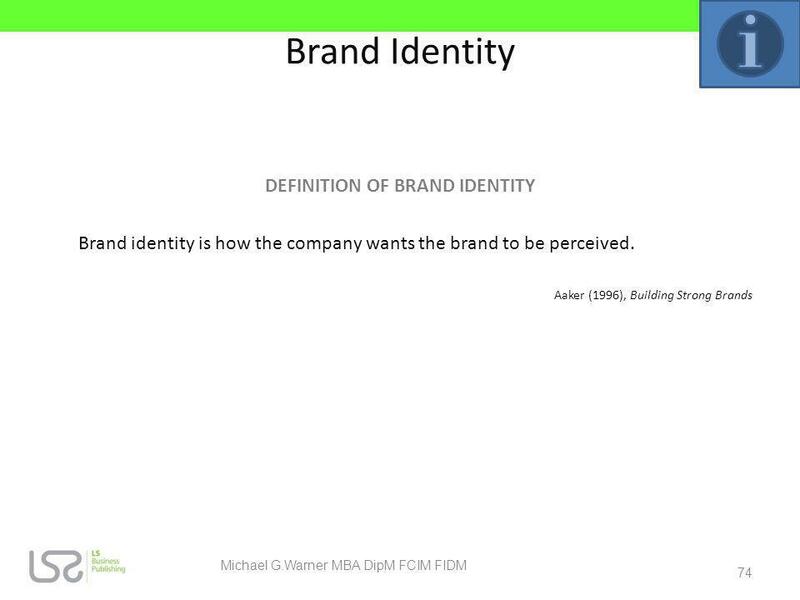 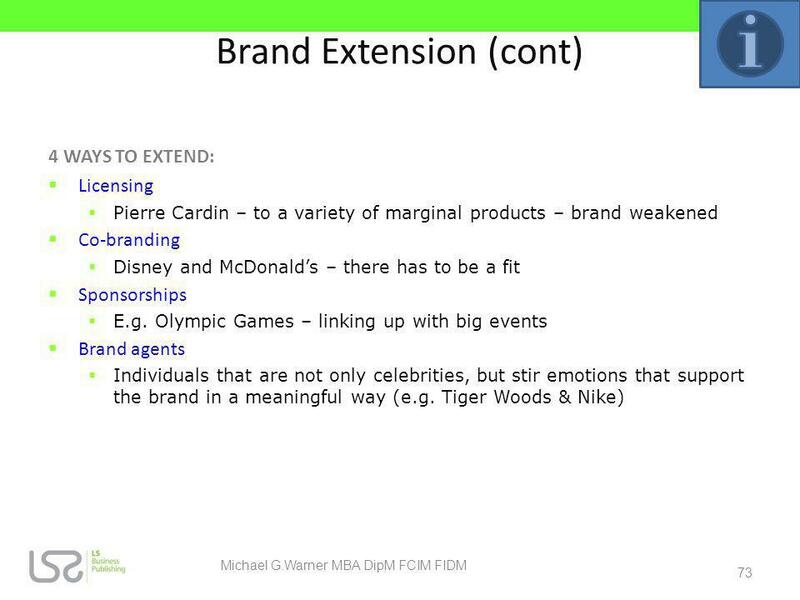 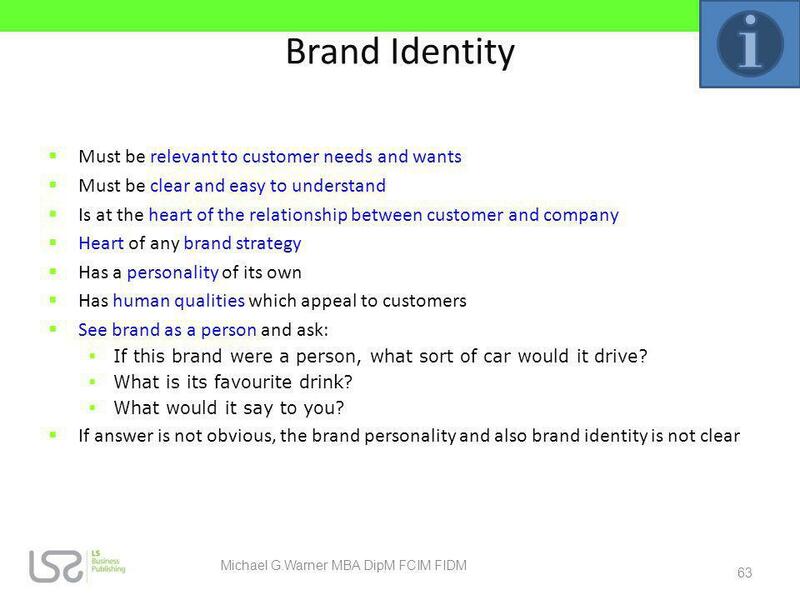 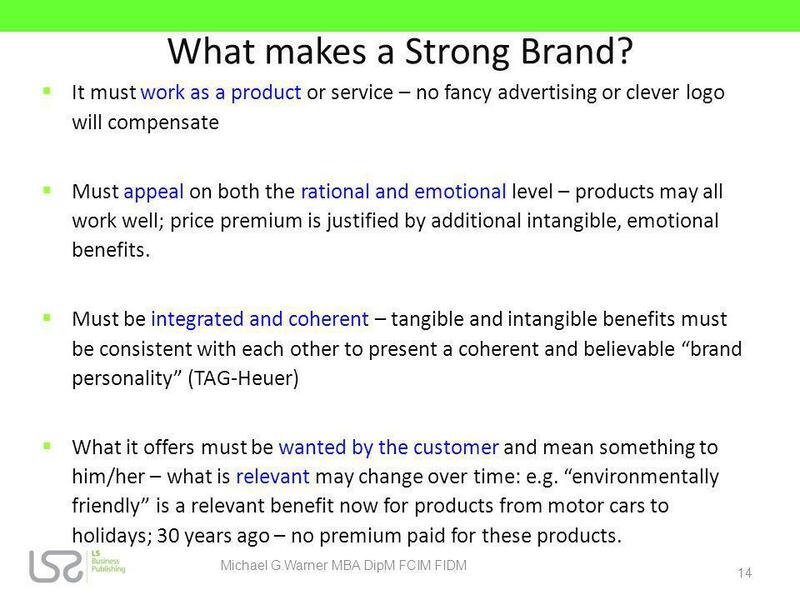 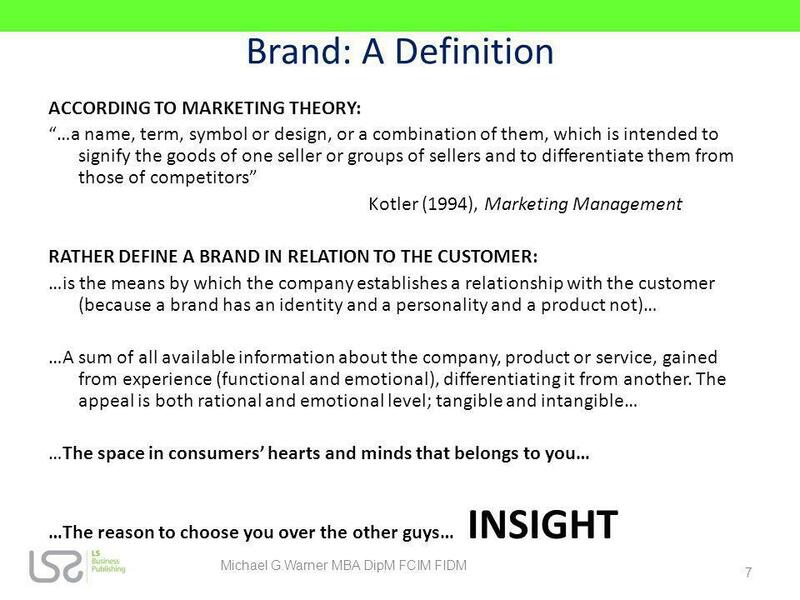 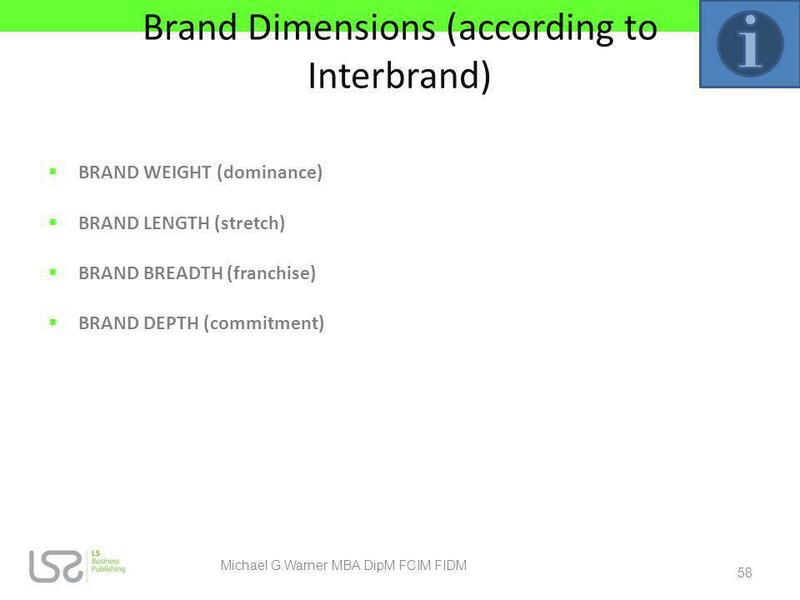 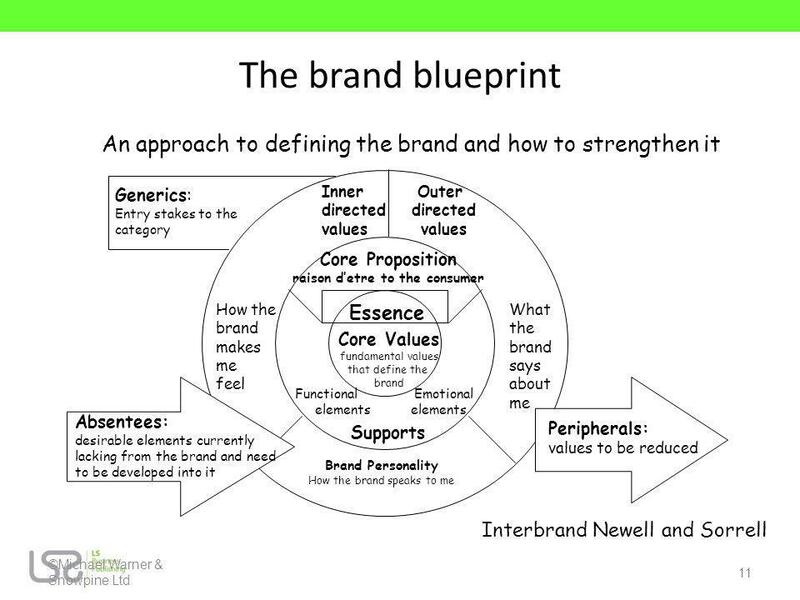 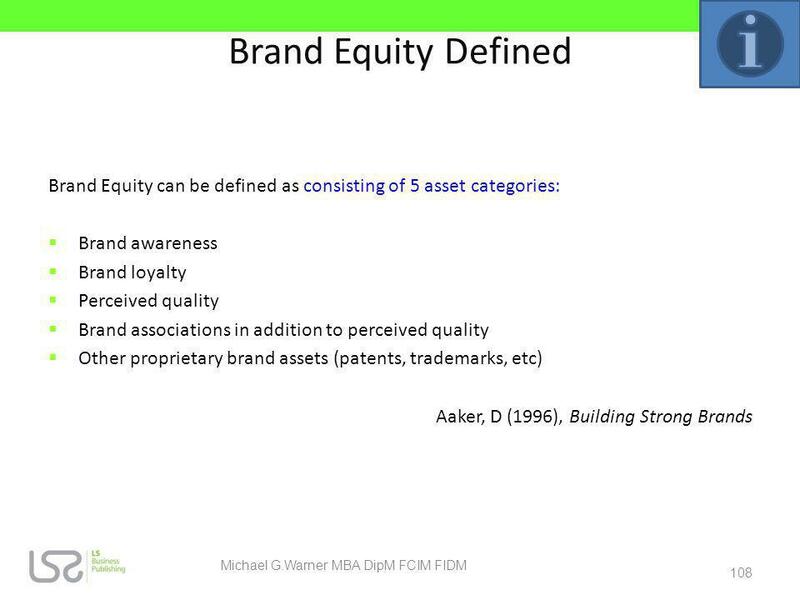 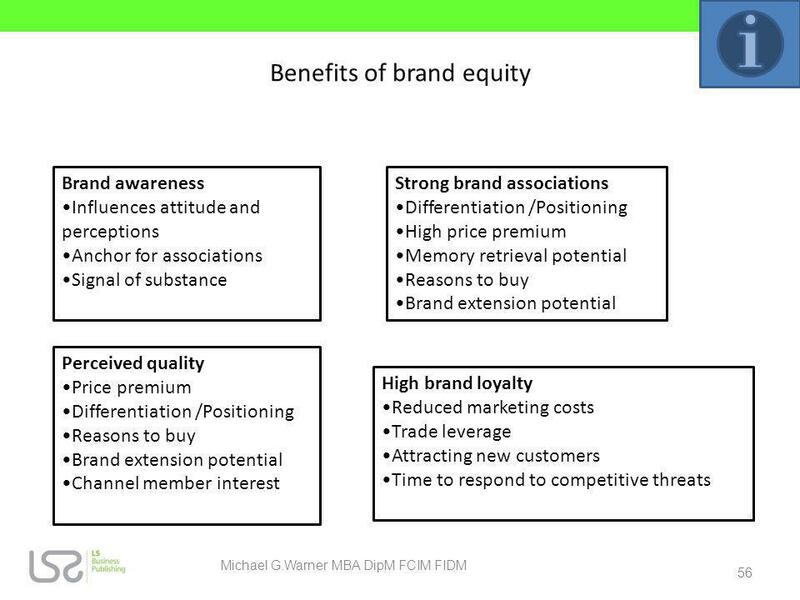 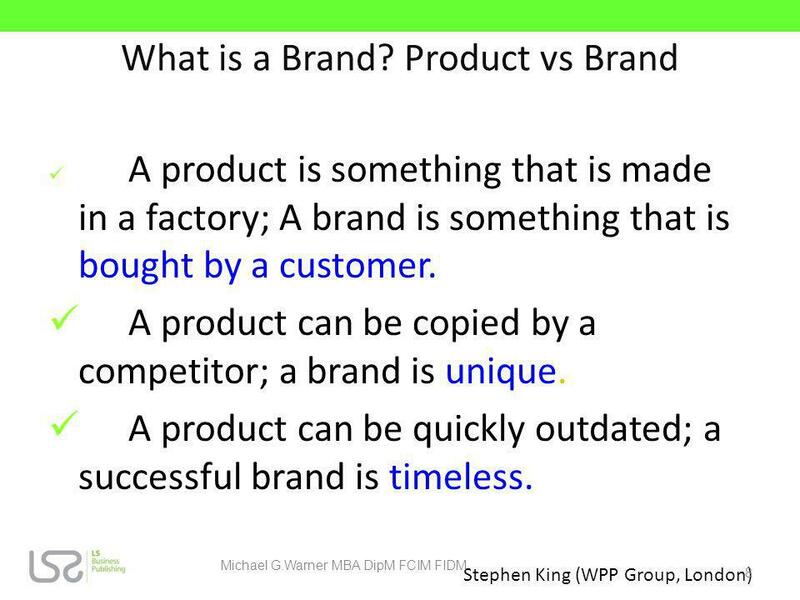 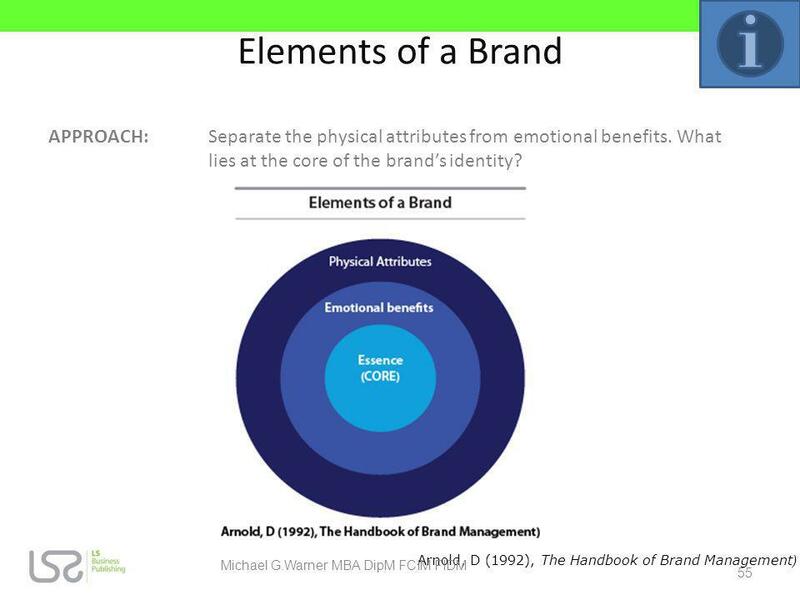 14 What makes a Strong Brand? 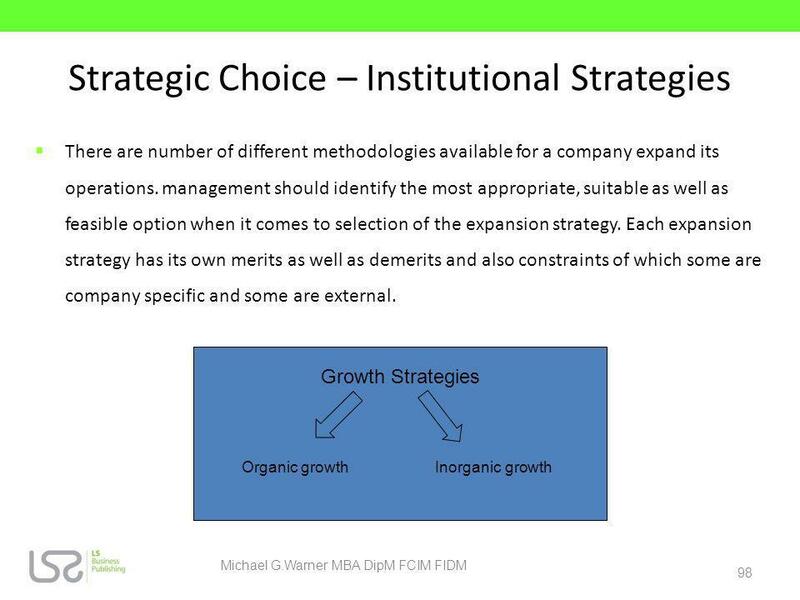 is a management system (not only a measurement system) that enables organisations to clarify their vision and strategy and translate them into action. 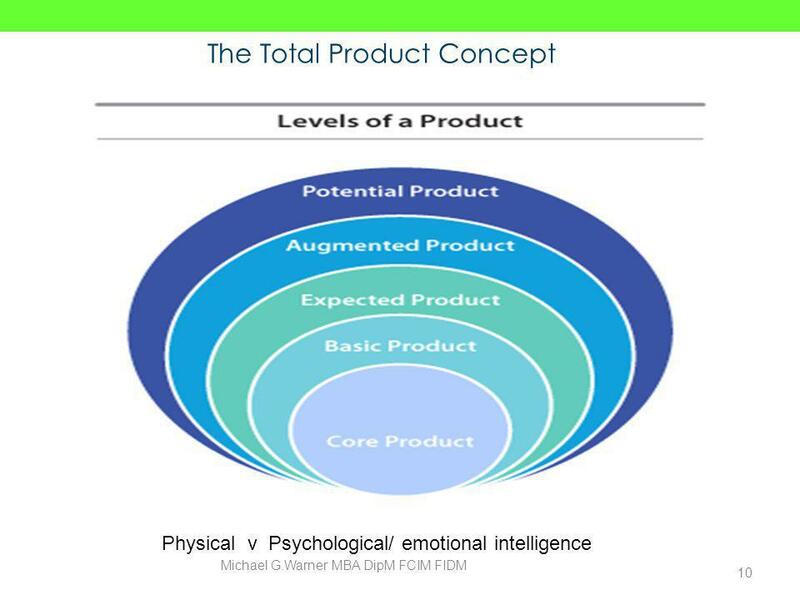 It provides feedback around both the internal business processes and external outcomes in order to continuously improve strategic performance and results. 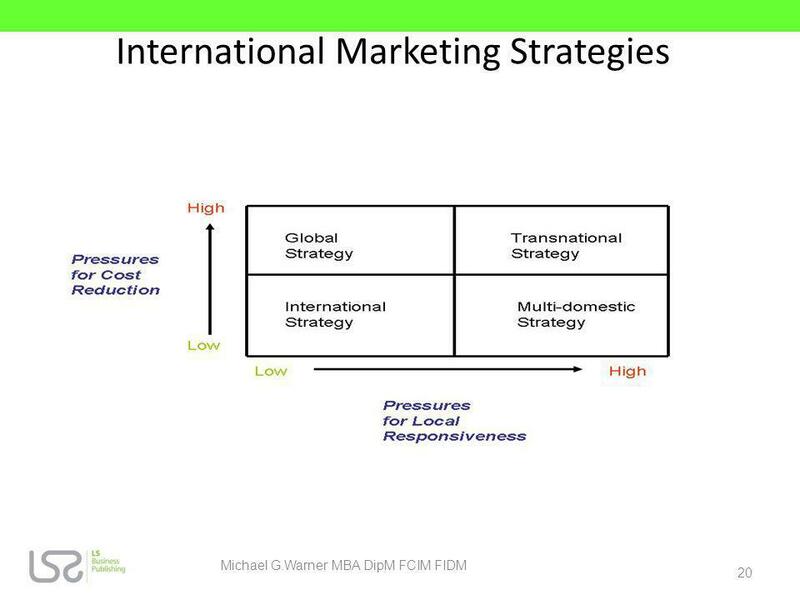 The Balanced Scorecard is an approach that can be used by strategic marketing managers to control, and keep track of, key performance indicators. 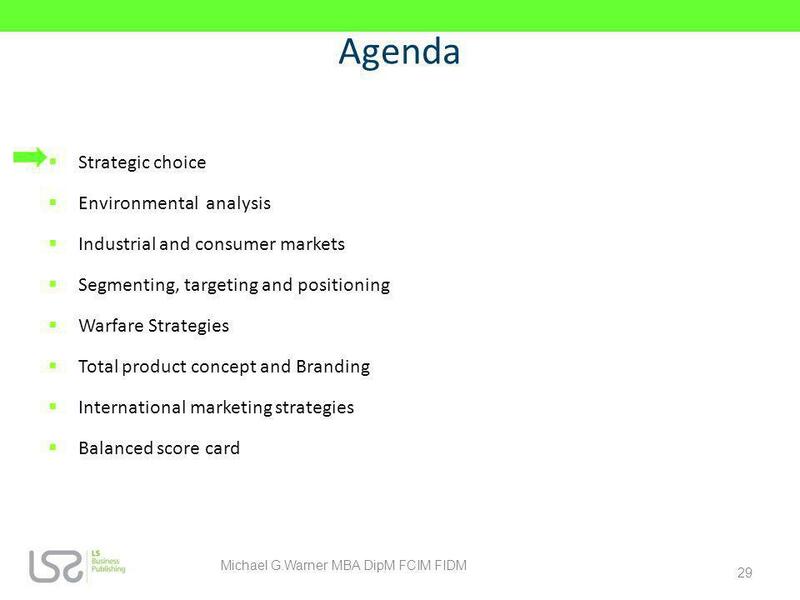 In fact the scorecard itself is designed to be wholly strategic since it contains long-term outcomes and drivers of success. 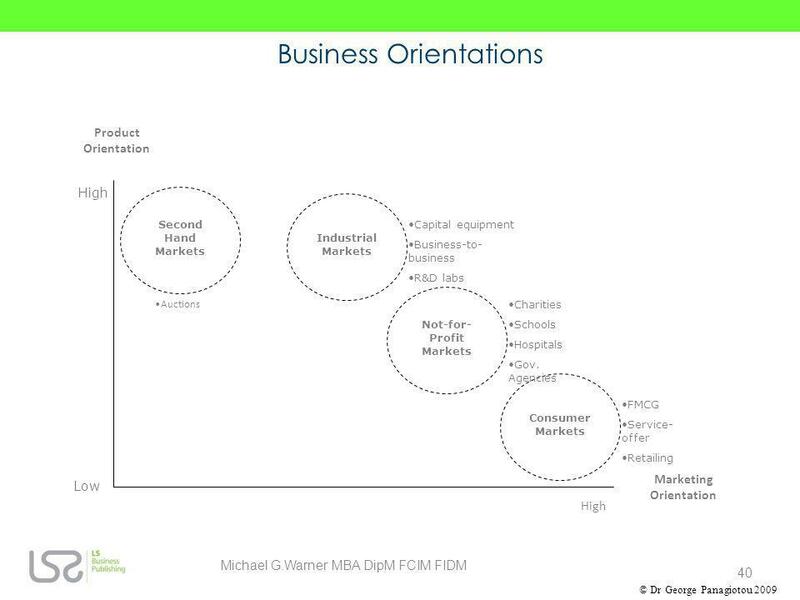 There are four zones in a balanced scorecard namely financial, customers, business processes (or simply processes), and learning and growth. 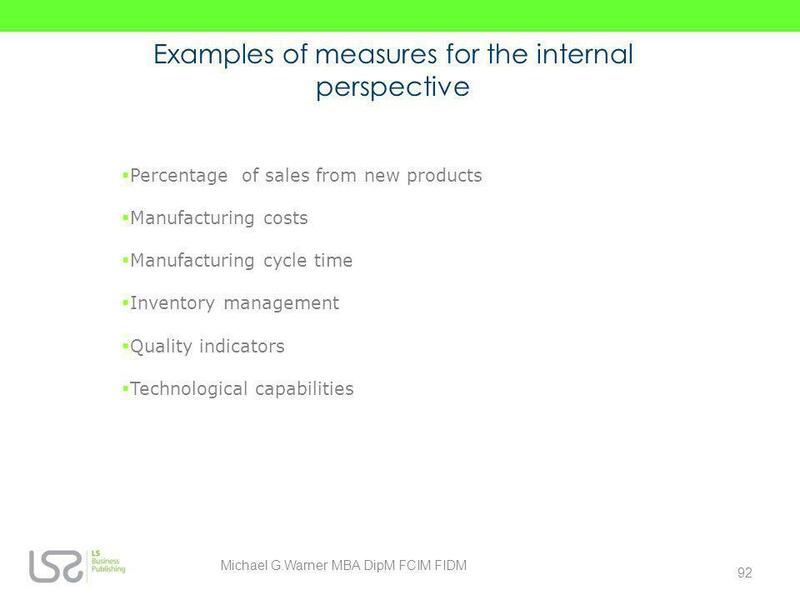 Each measure is part of a longer chain of cause and effect, and all of the measures eventually lead to outcomes (read on and this will become clearer). 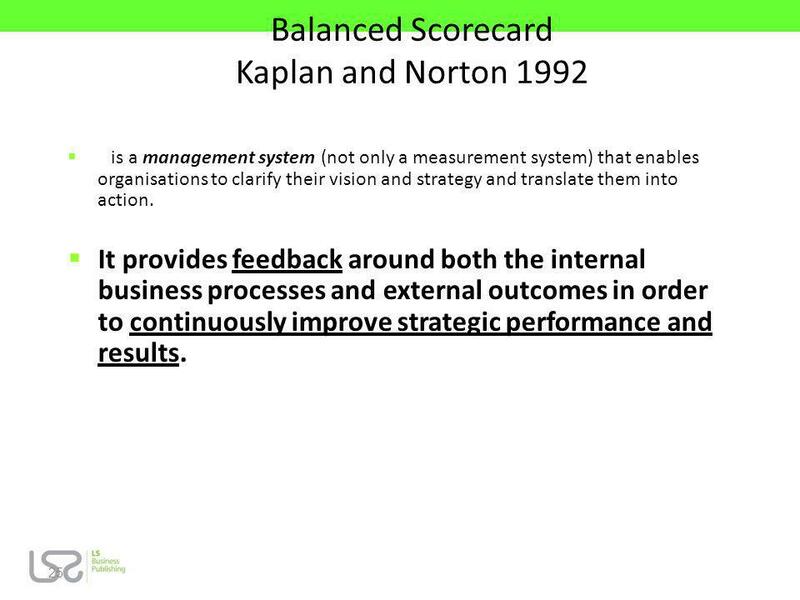 So the scorecard is 'balanced' in that outcomes are in balance with each other. 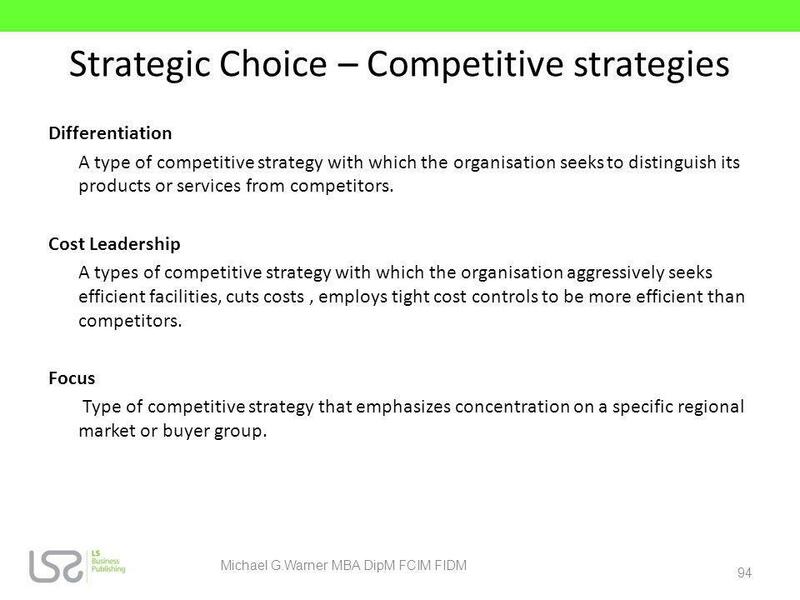 The benefit of the scorecard is that is overcomes short-term quick fixes, and gives the strategic marketing manager a straightforward overview of the organisation. 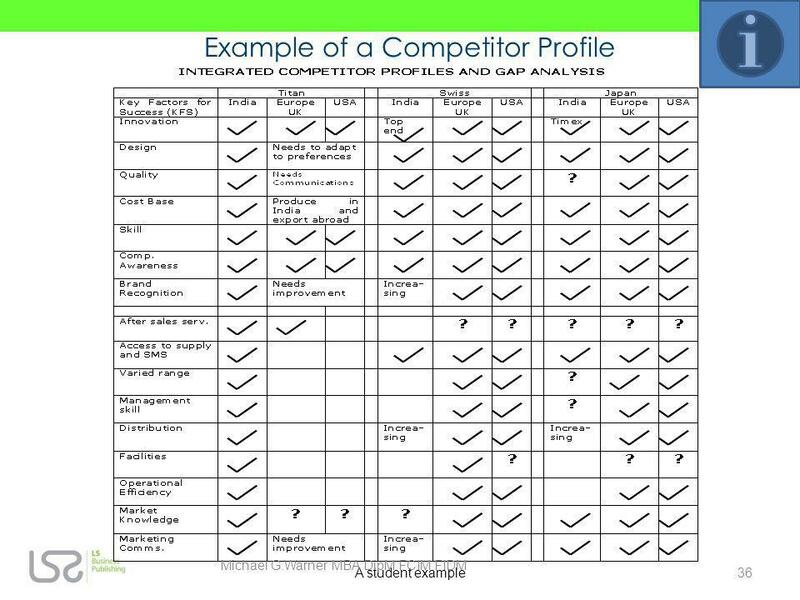 In fact, a scorecard should ideally fit onto a single sheet of paper. 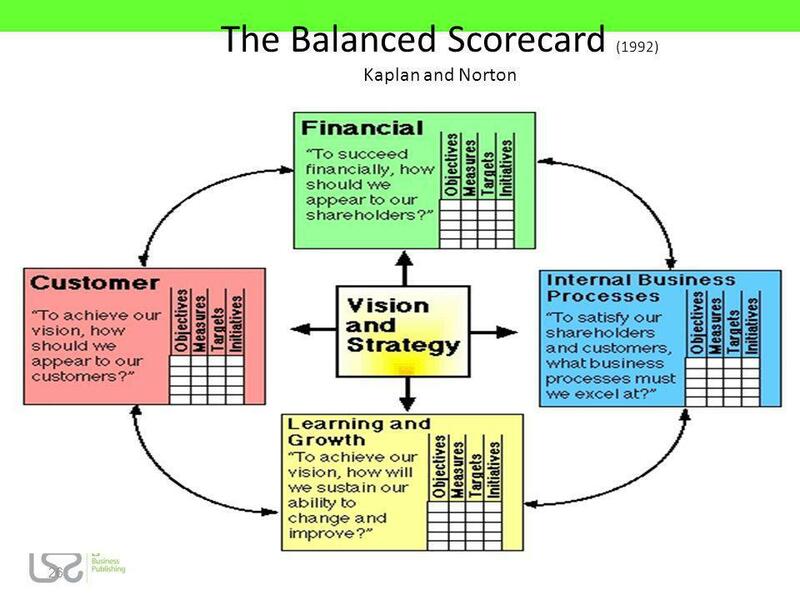 In fact Kaplan and Norton (1992), the originators of Balanced Scorecard, describe it as the dials in an airplane cockpit. 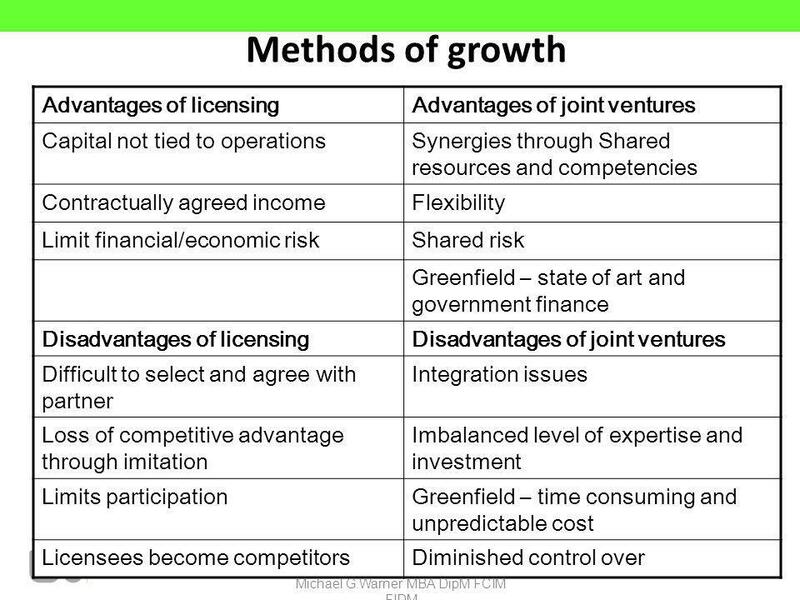 Learning and Growth. 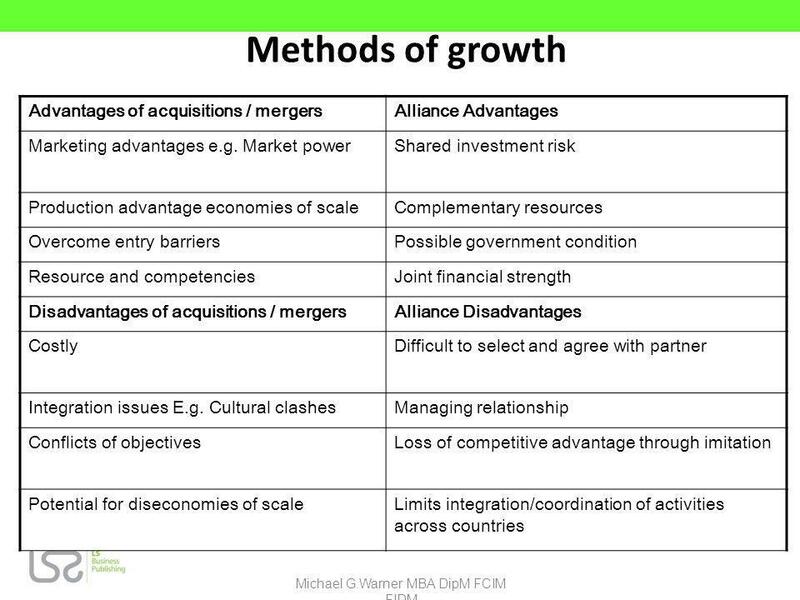 Learning and Growth deals with measures of corporate success in relation to how it learns as it develops over time. 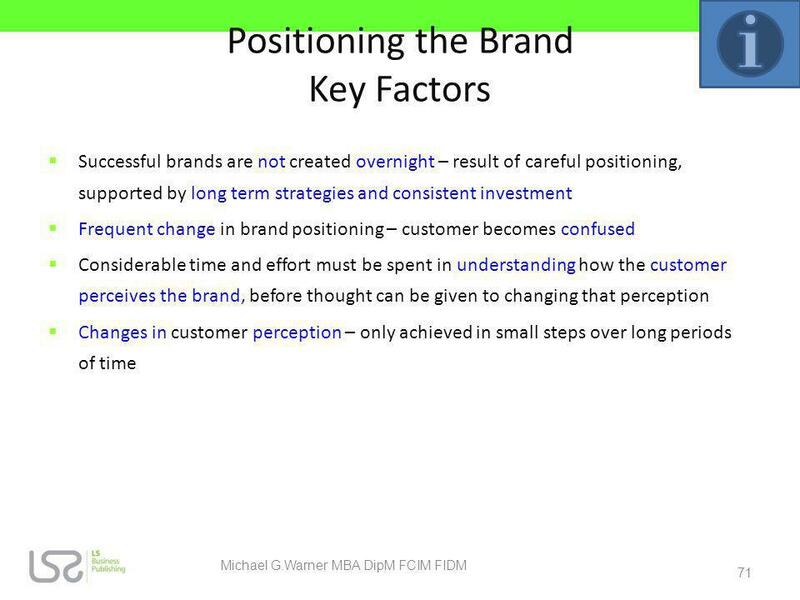 So if the company makes mistakes in any way, then it must learn from them and there must be mechanisms in place to make sure that happens. 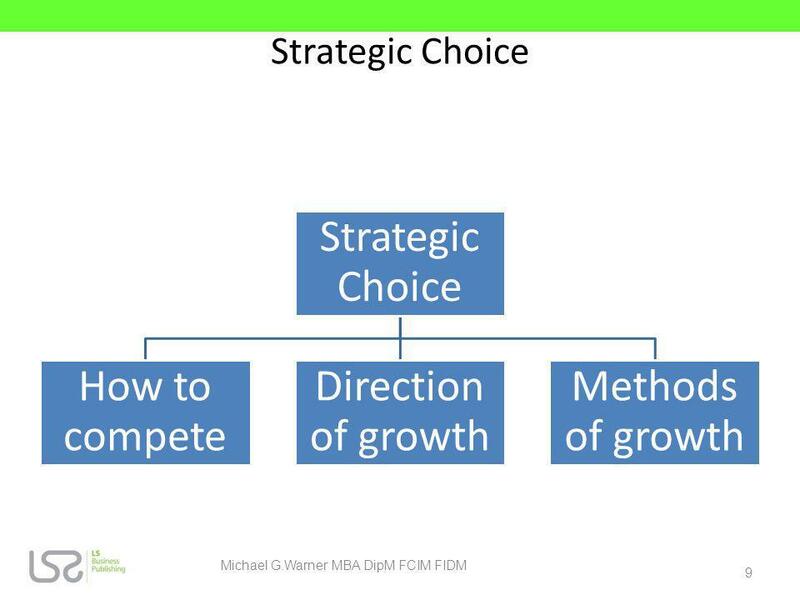 Growth also includes the way in which it generates leaders for the future and equips employees with the necessary skills that will ultimately sustain its business. 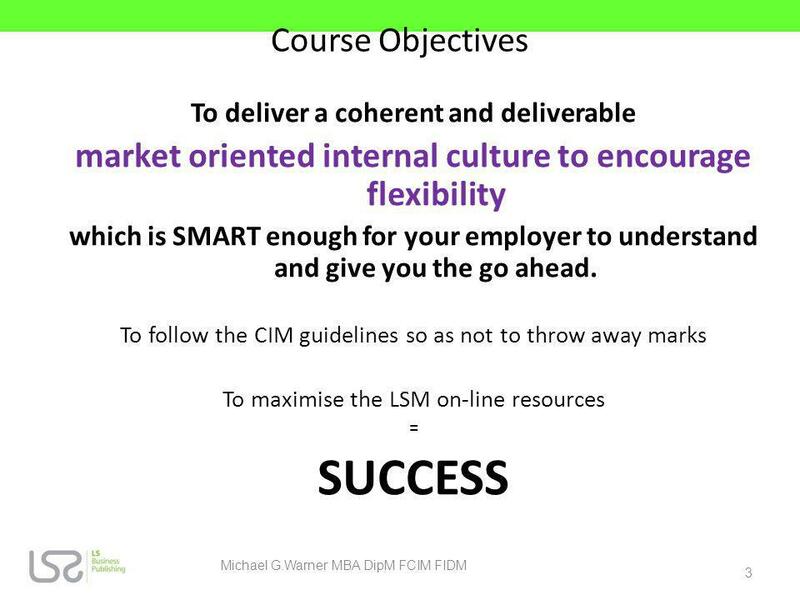 Examples include skills sets, employee relations and satisfaction, and staff competences. 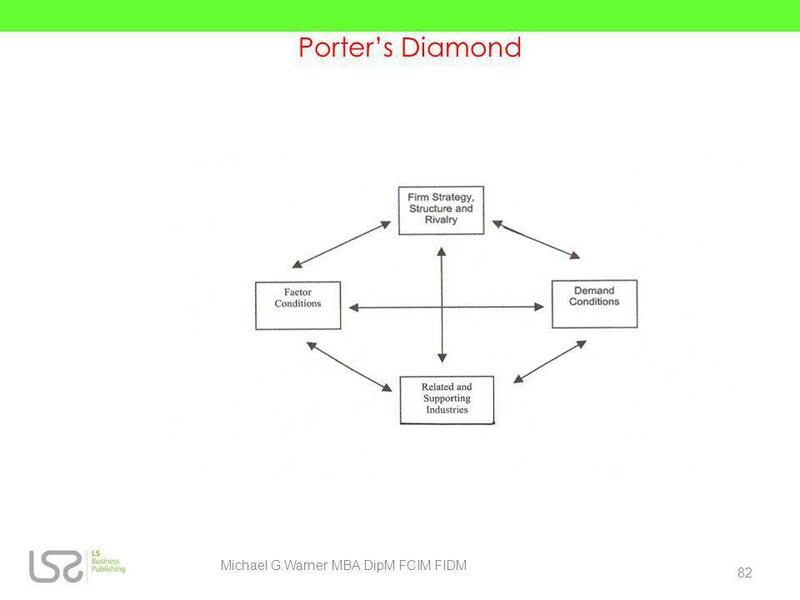 Internal Business Processes. 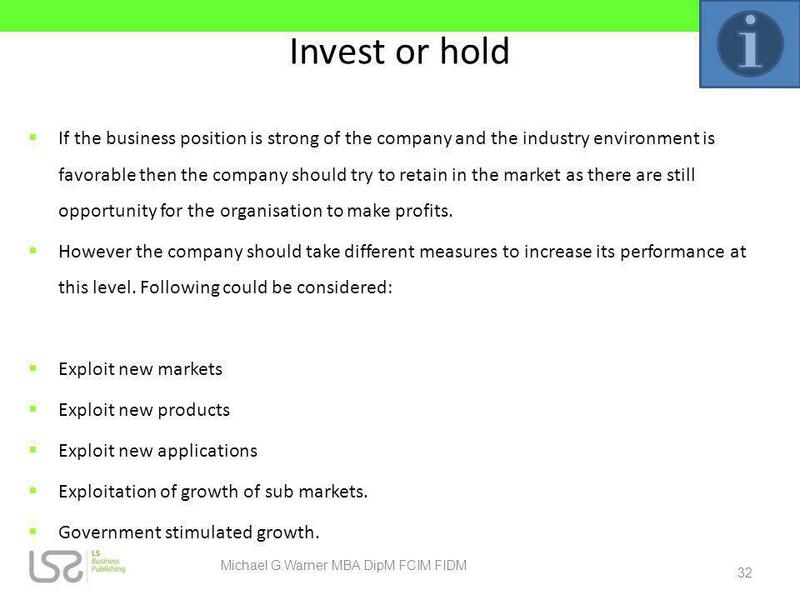 Internal business processes include all operations within the organisation. 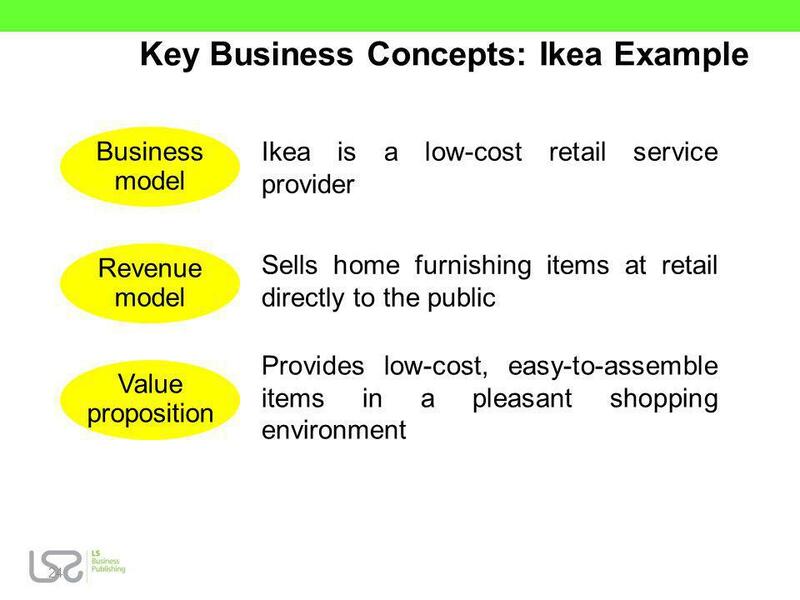 The measures would cover whether or not value is being delivered to target segments, and the value chain is tracked. 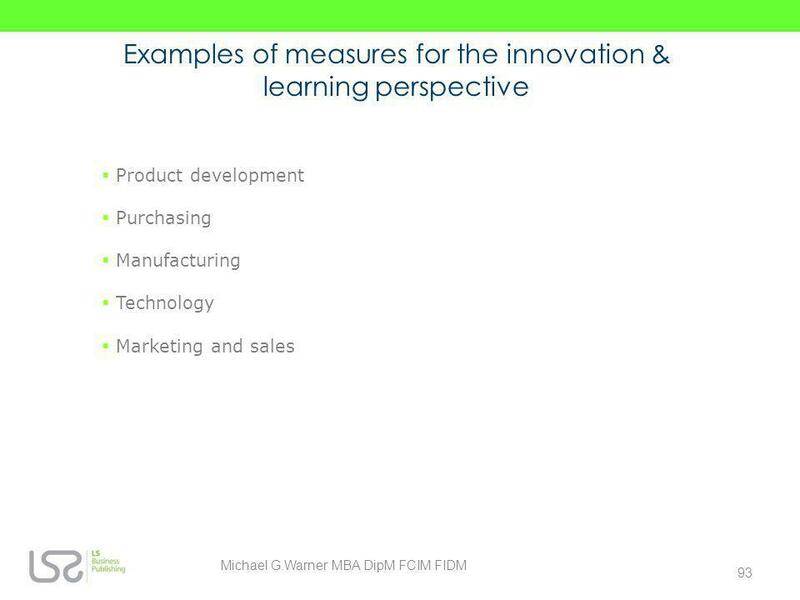 Innovation and new product development would also be measured. 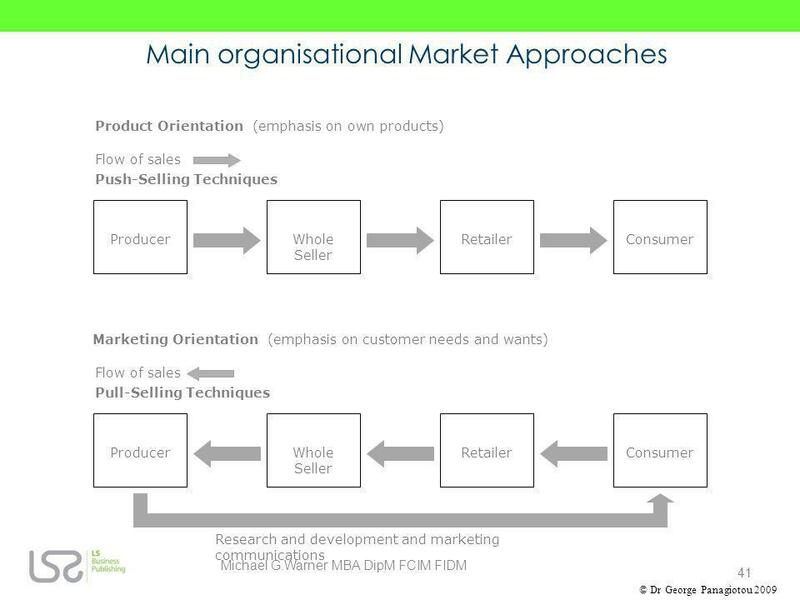 Examples of internal business processes include Information Technology, manufacturing, marketing operations such as customer service, procurement and quality processes. 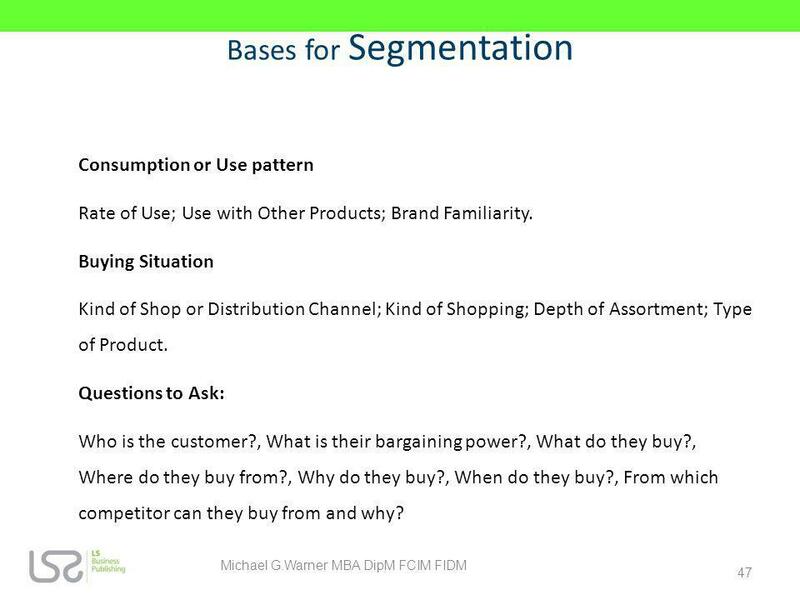 Customers. 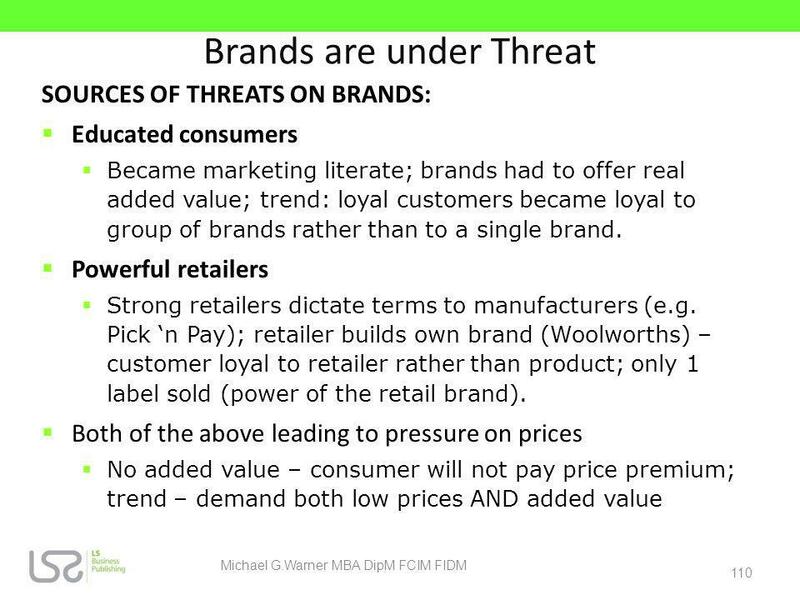 As marketers we are very concerned with our customers. 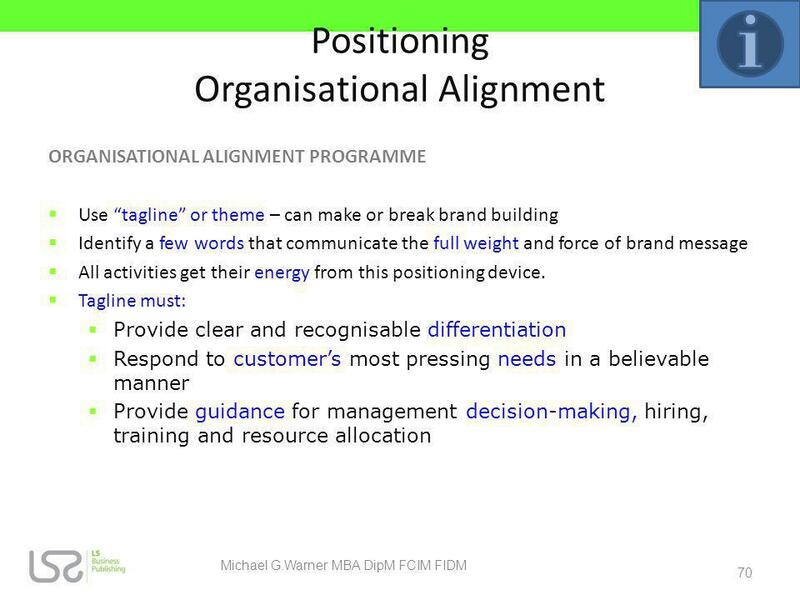 We need to make sure that they are satisfied with every aspect of their experience with our organisation. 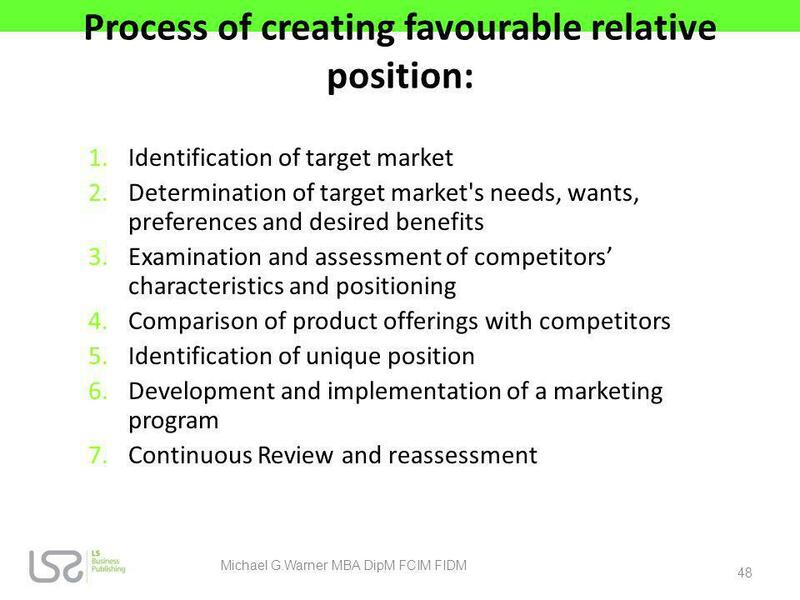 We need to make sure that we not only recruit more new customers, but that we also retain them and extend new products and services to them. 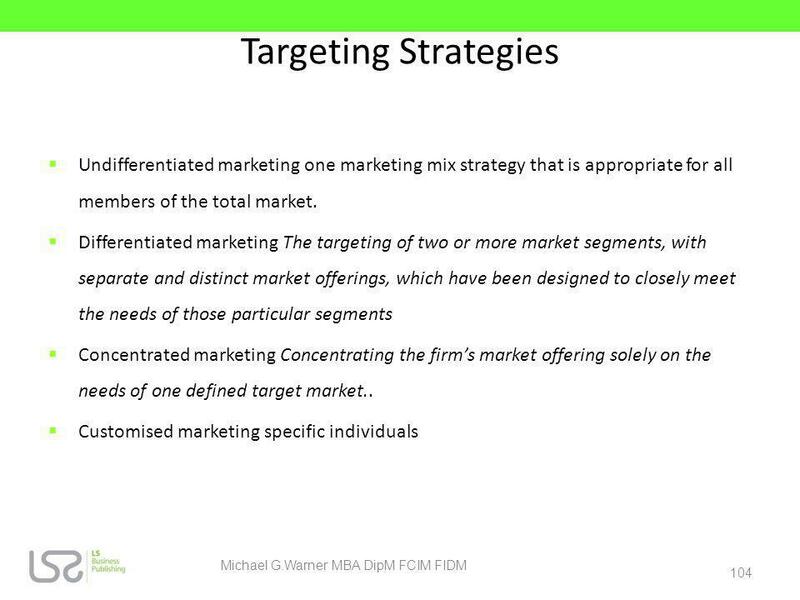 We also need to make sure that we are meeting the needs of our target segments. 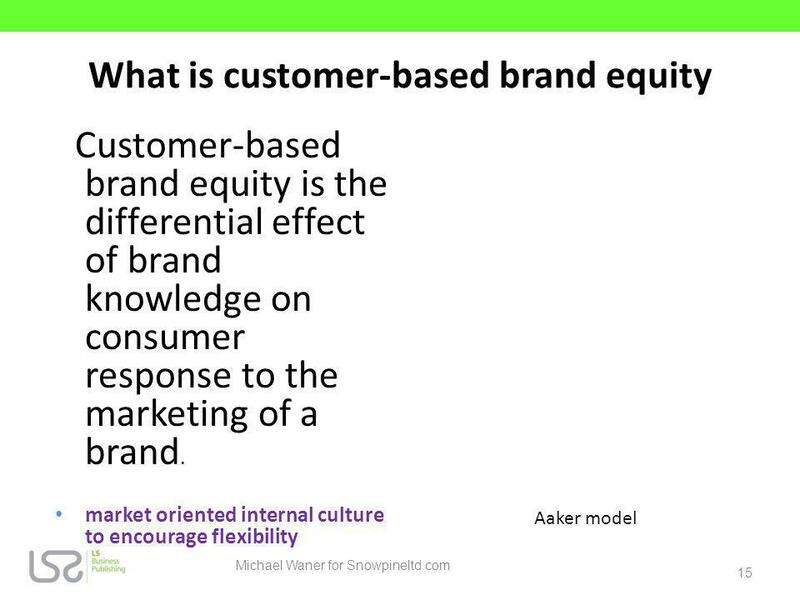 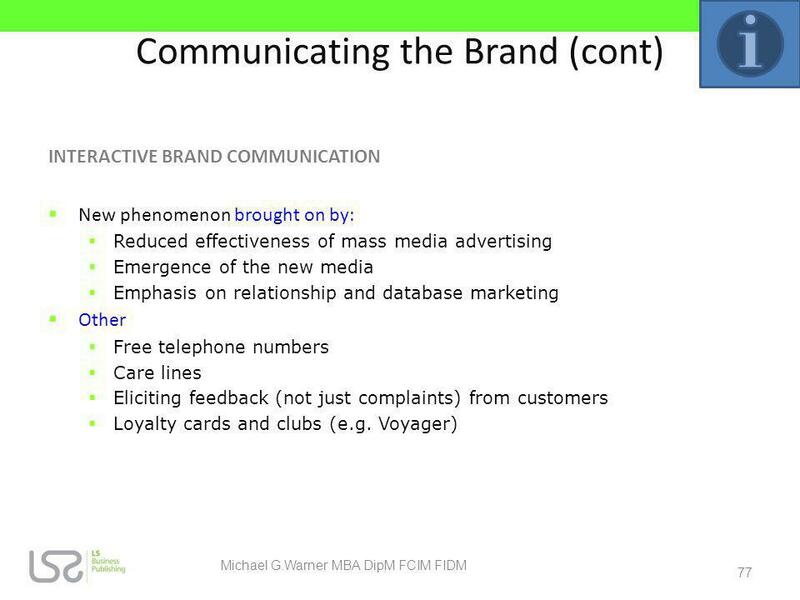 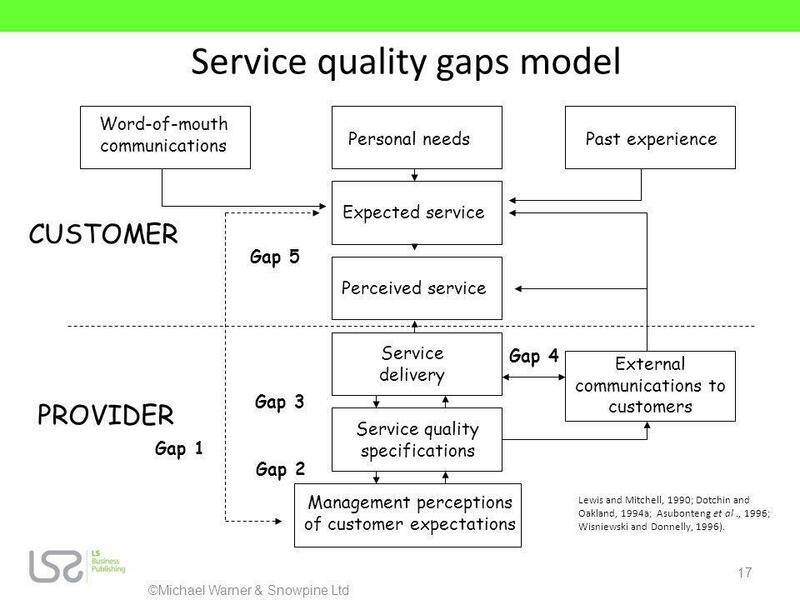 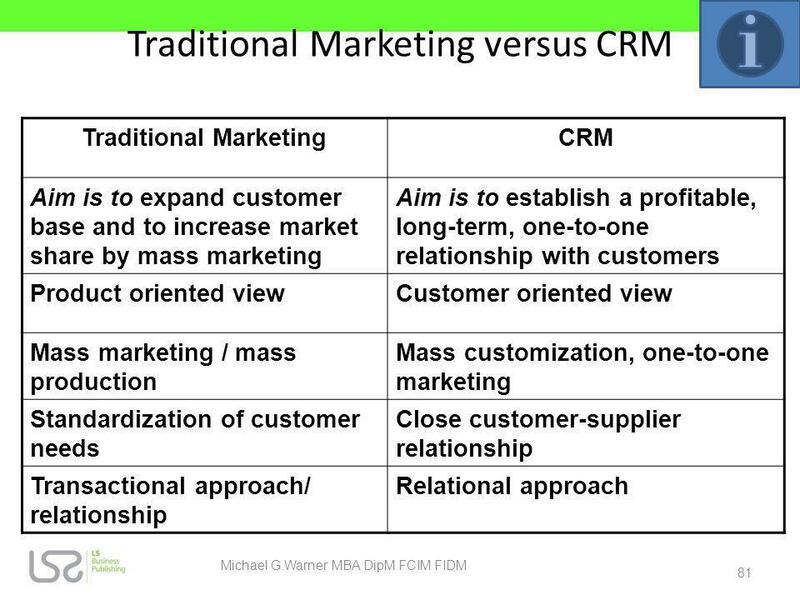 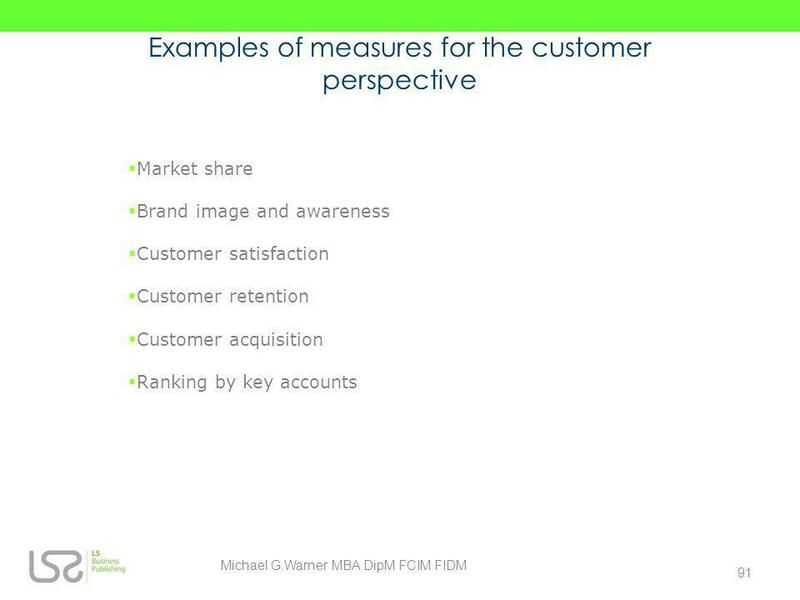 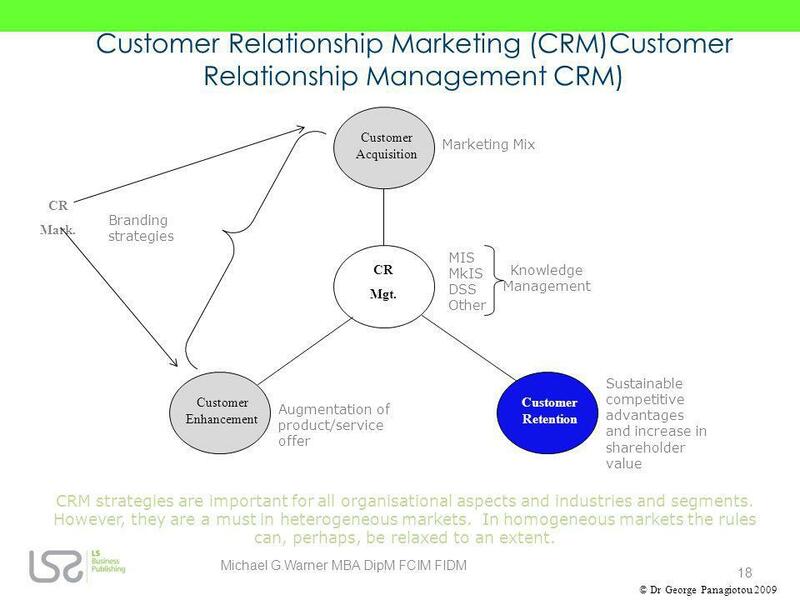 So here, examples of customer measures include customer retention and recruitment, their satisfaction and so on. 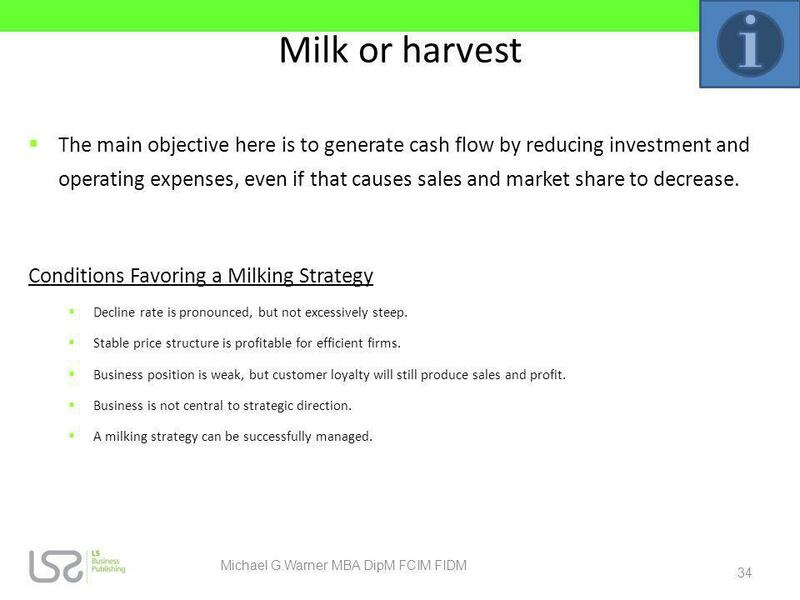 Financial. 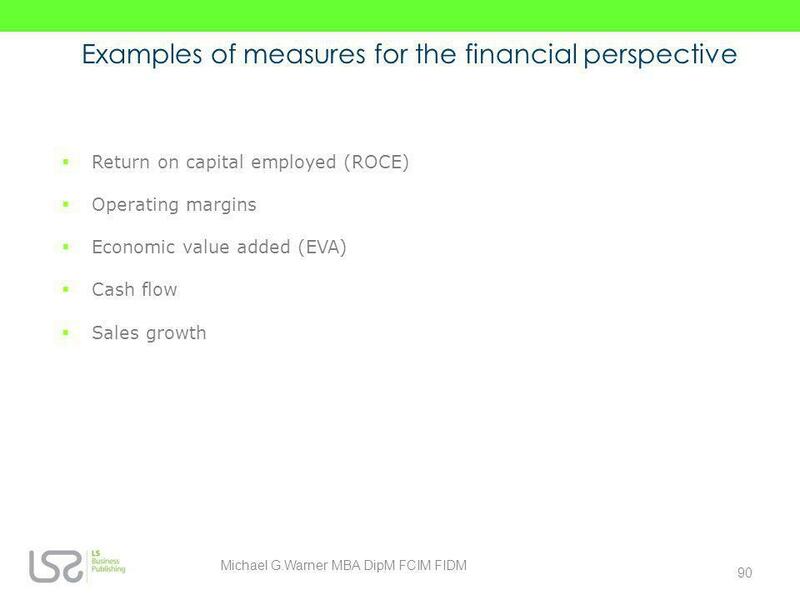 Financial measures are vitally important for any business. 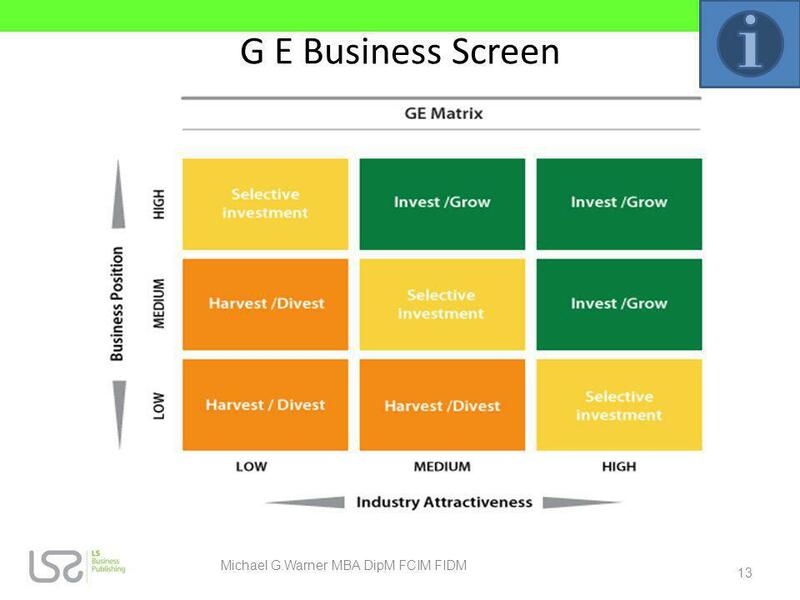 A note of caution here, since traditional measures of financial success such as Return On Investment (ROI), and made secondary to 'shareholder value.' 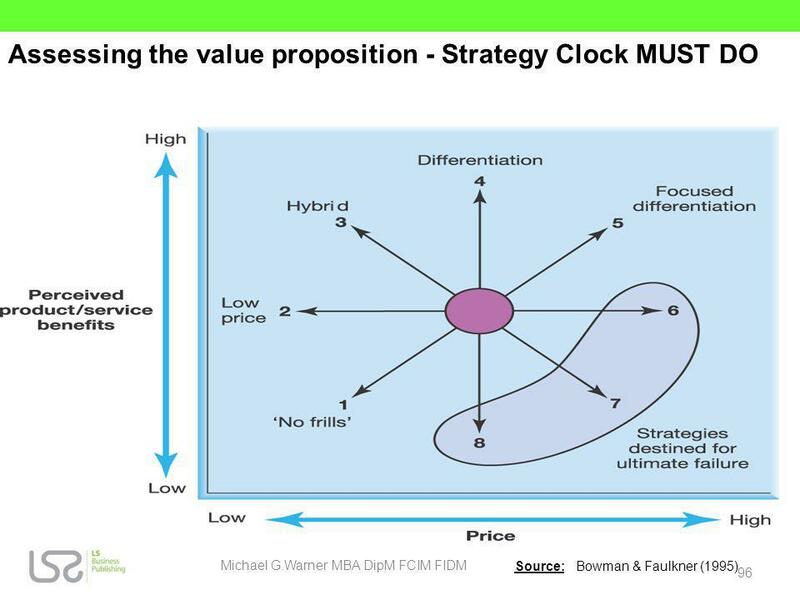 Shareholder value is the natural measure of success, and so it is prioritised. 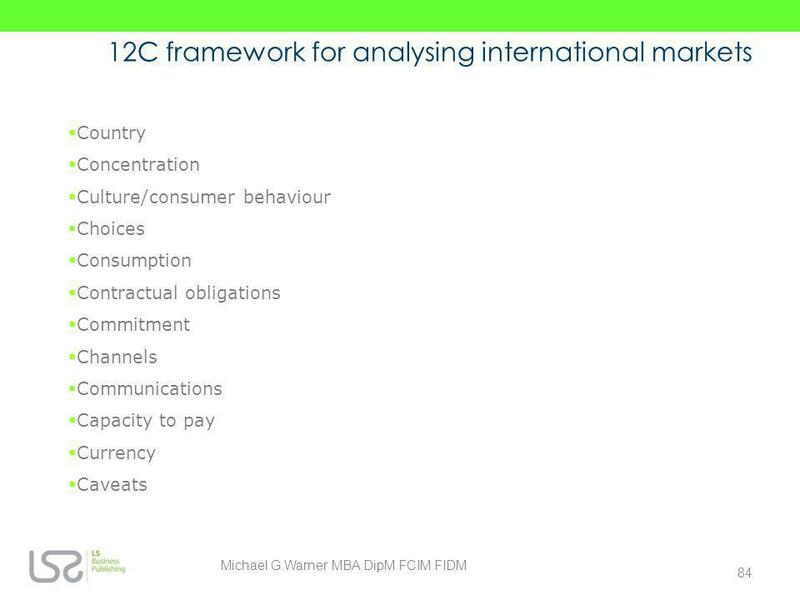 Information on customers, markets and technology is far more widely available today, so don't bogged down with old fashioned financial measures. 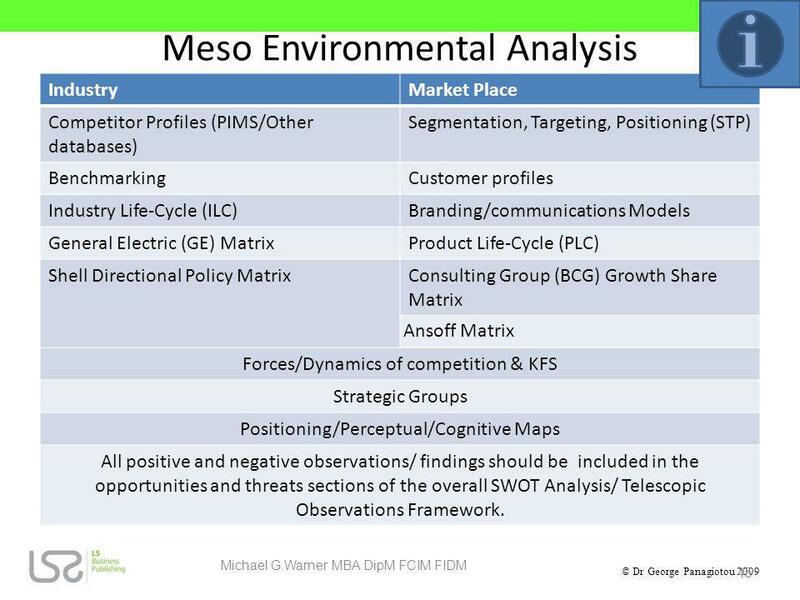 Resources, individuals and teams within a business are then aligned with the scorecard objectives, measures, targets and initiatives for each of the four areas of measurement. 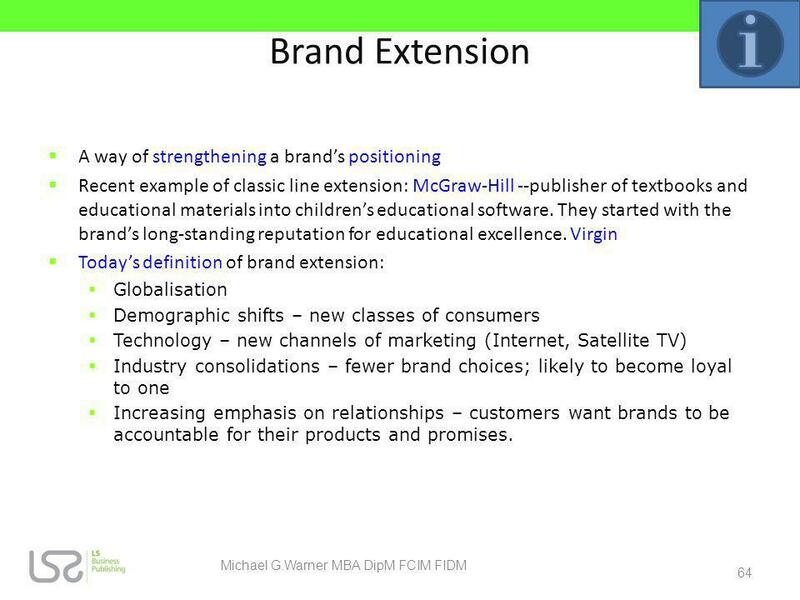 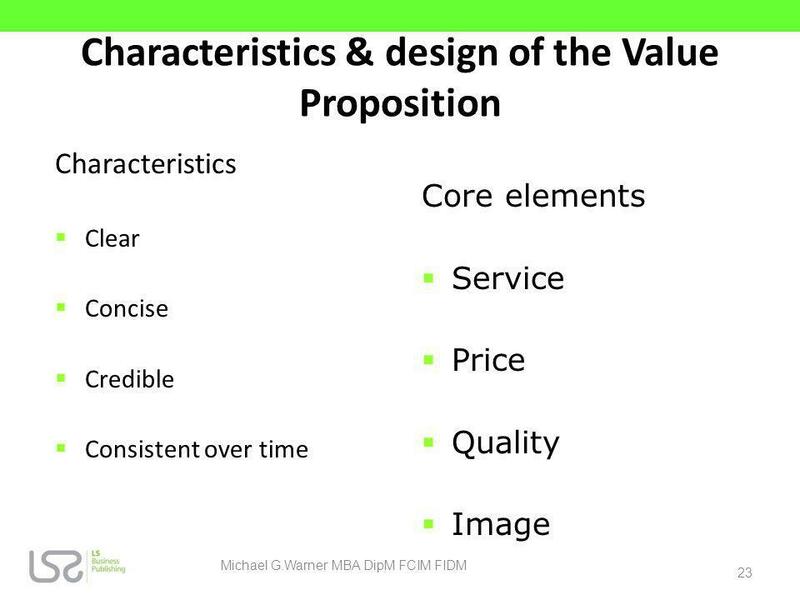 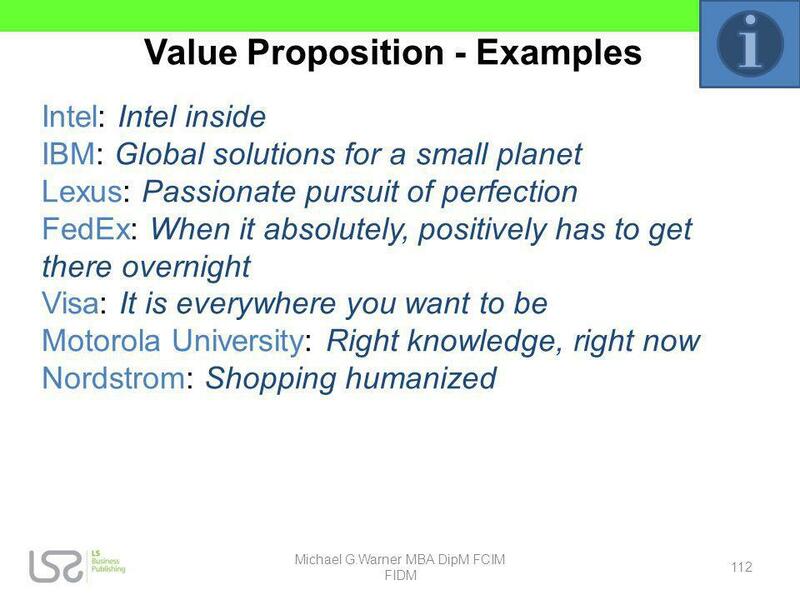 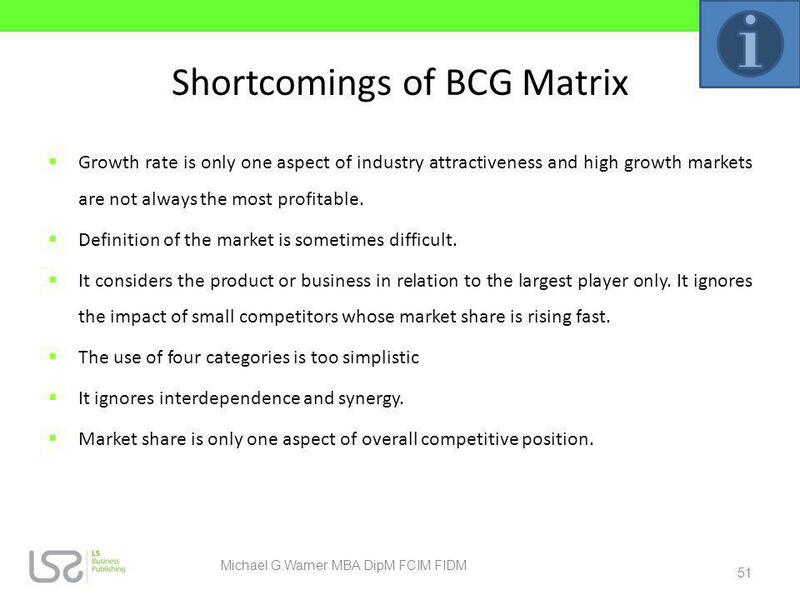 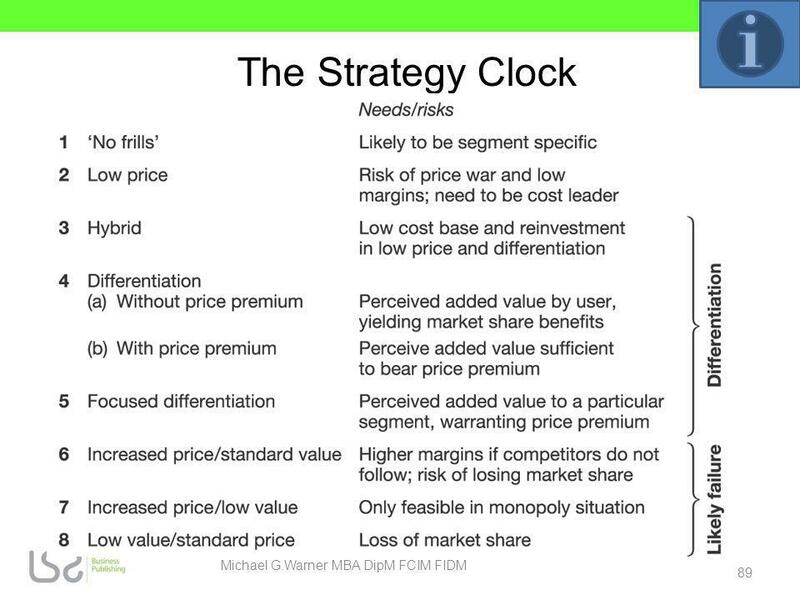 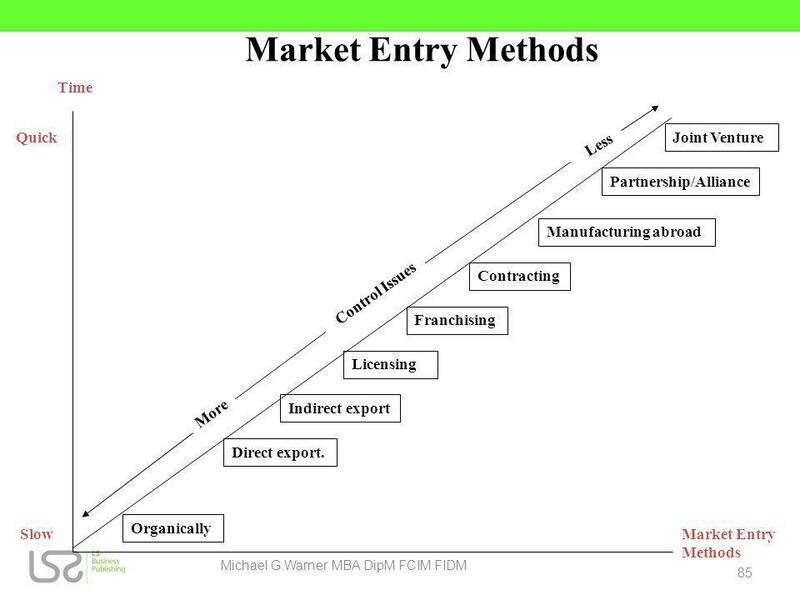 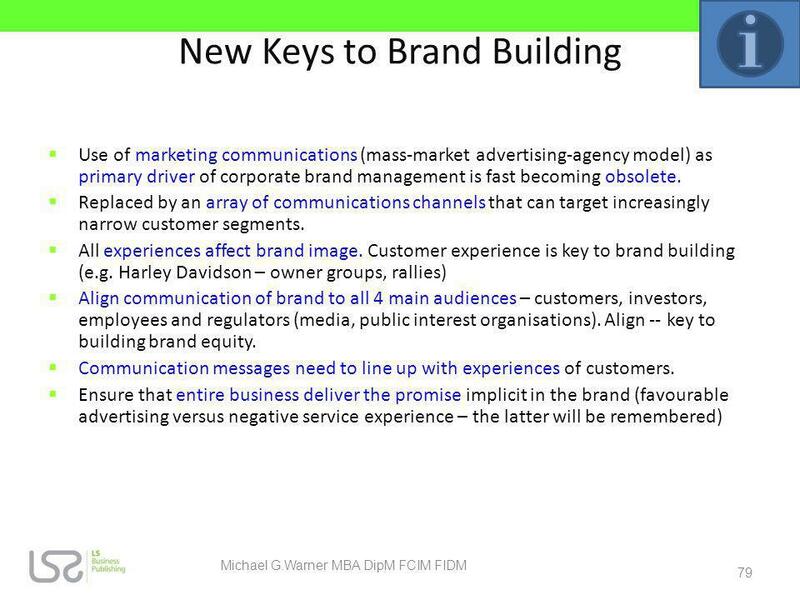 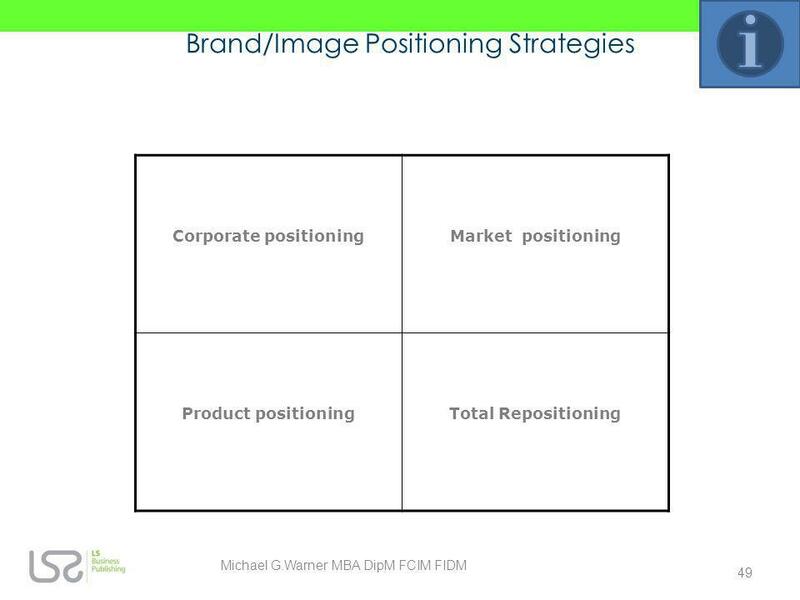 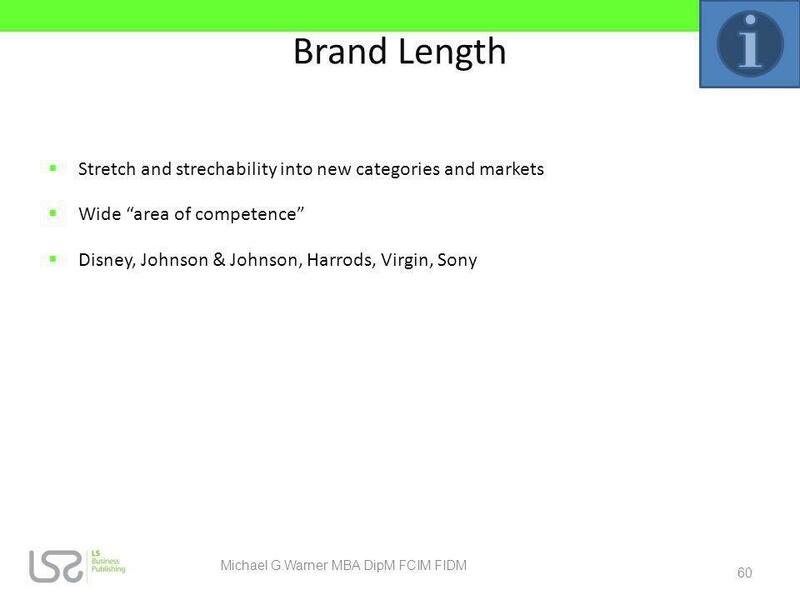 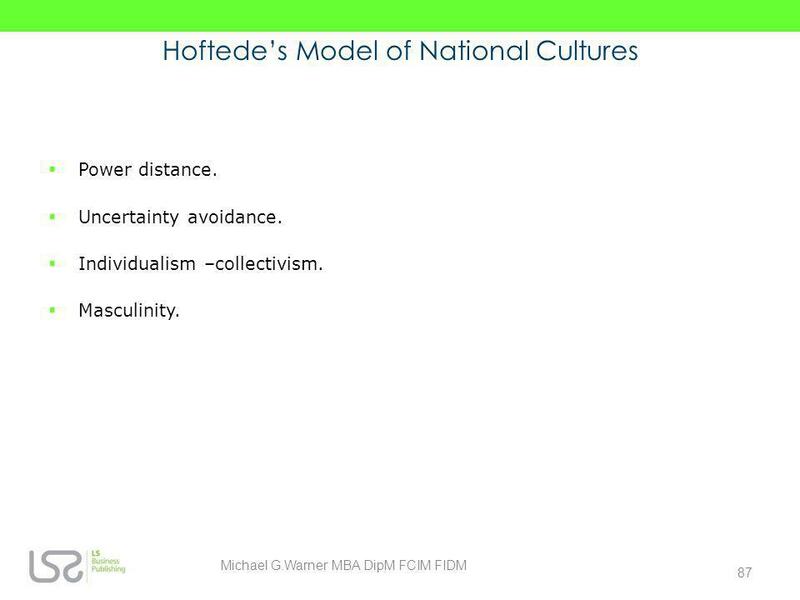 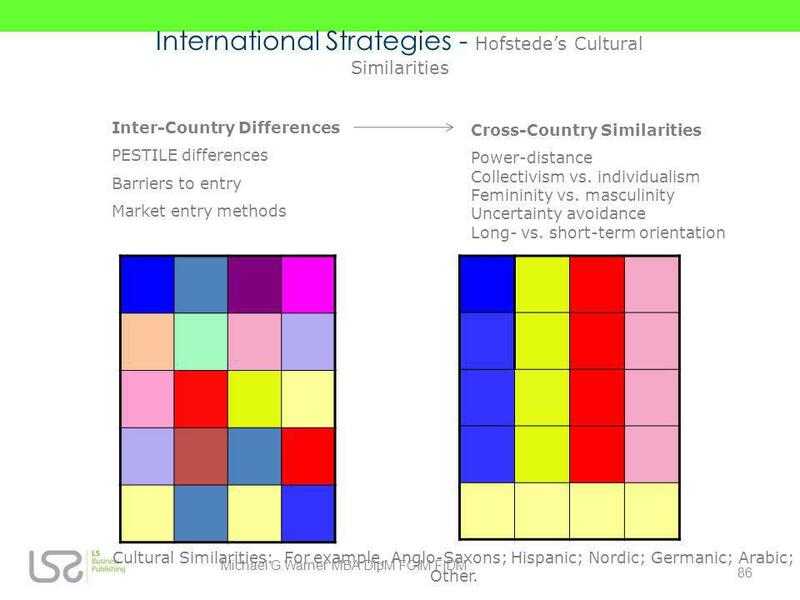 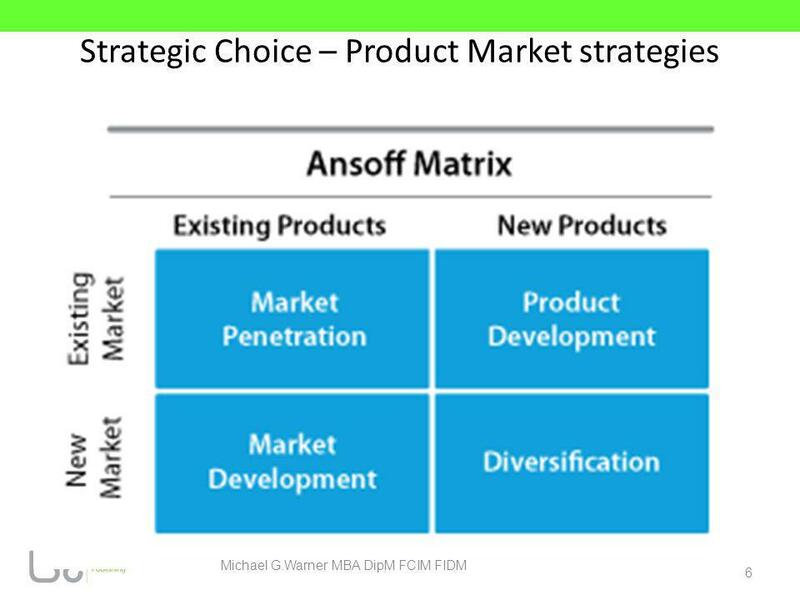 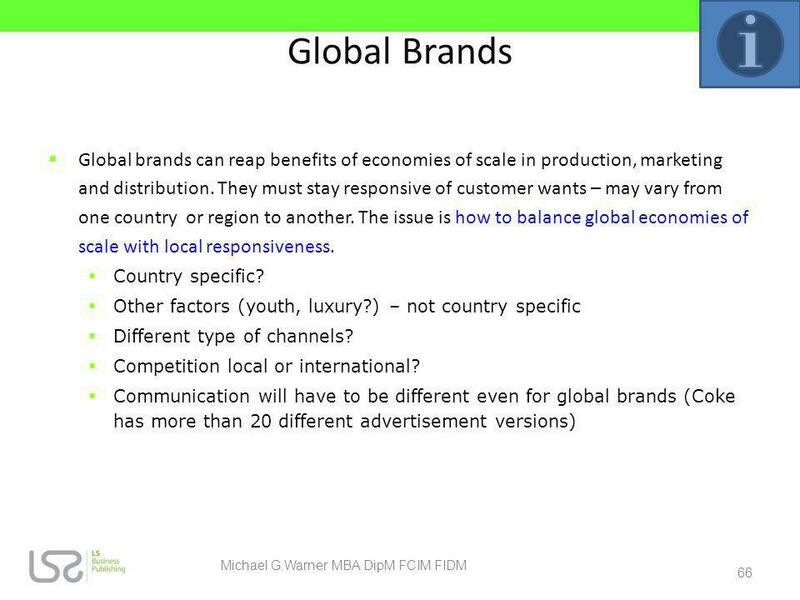 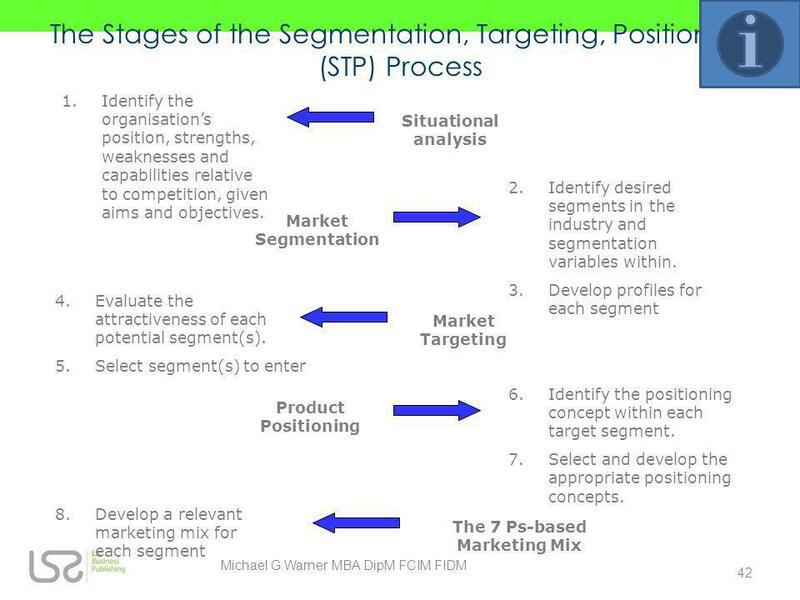 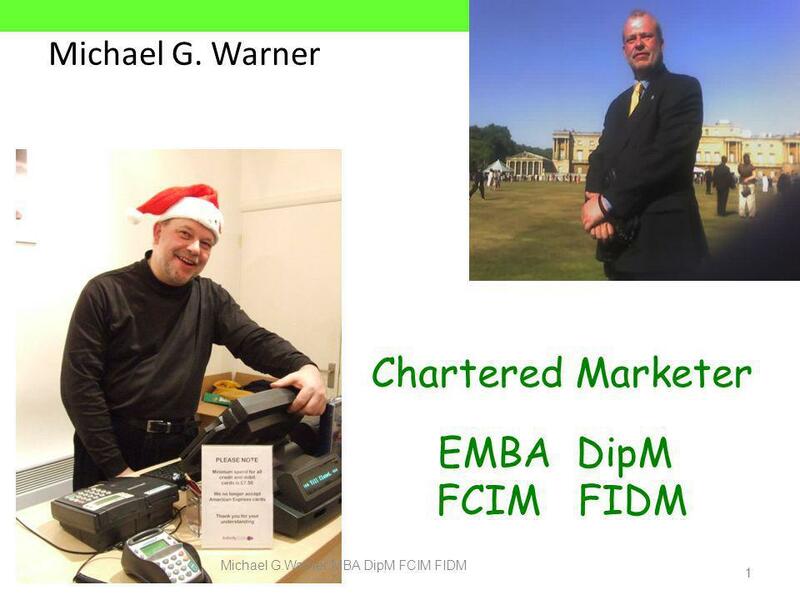 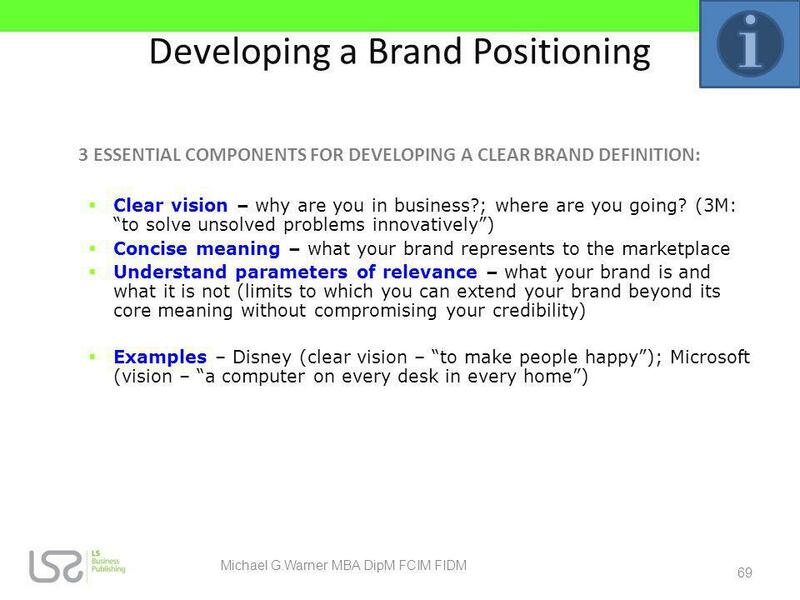 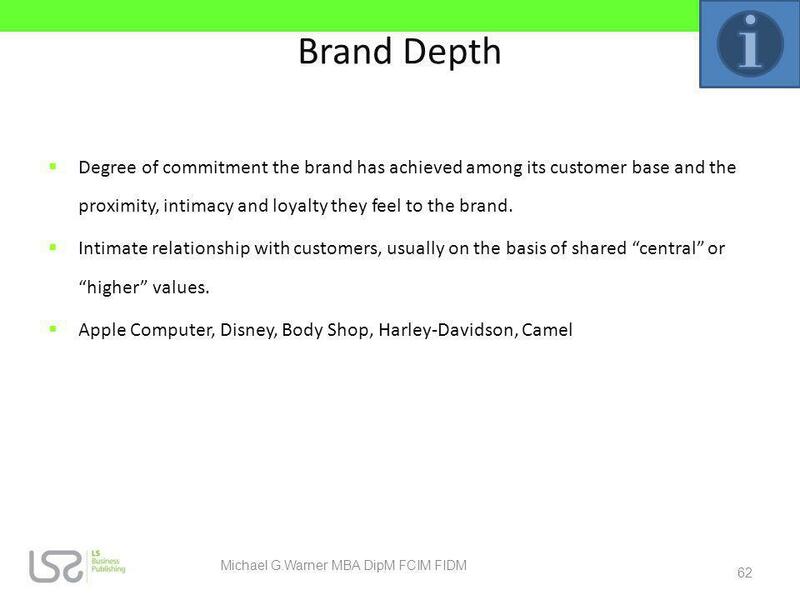 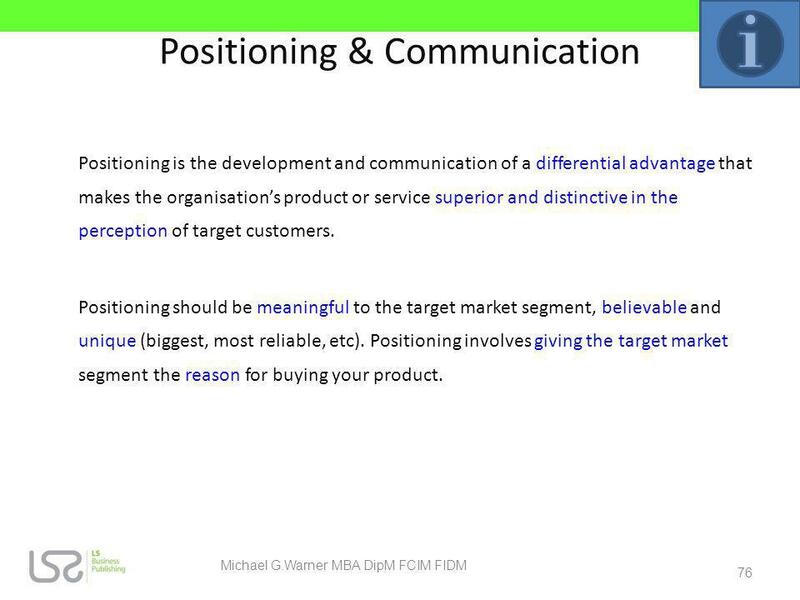 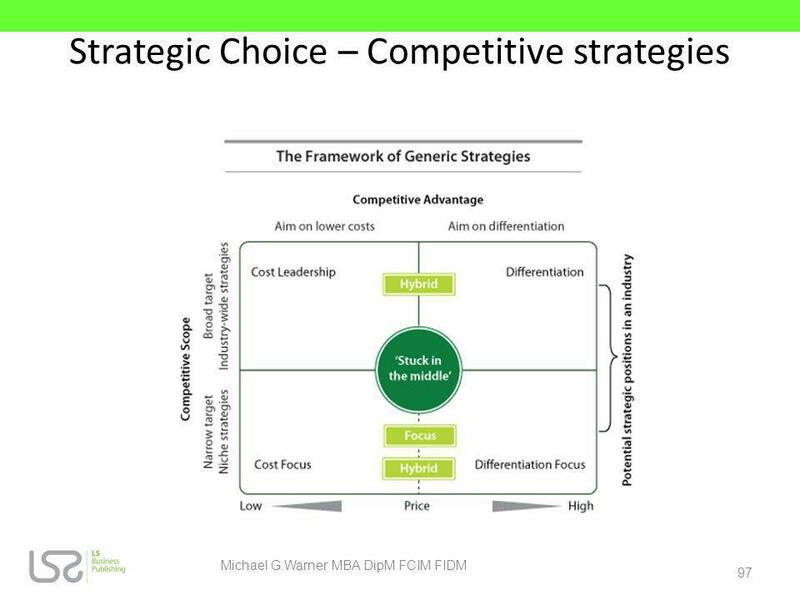 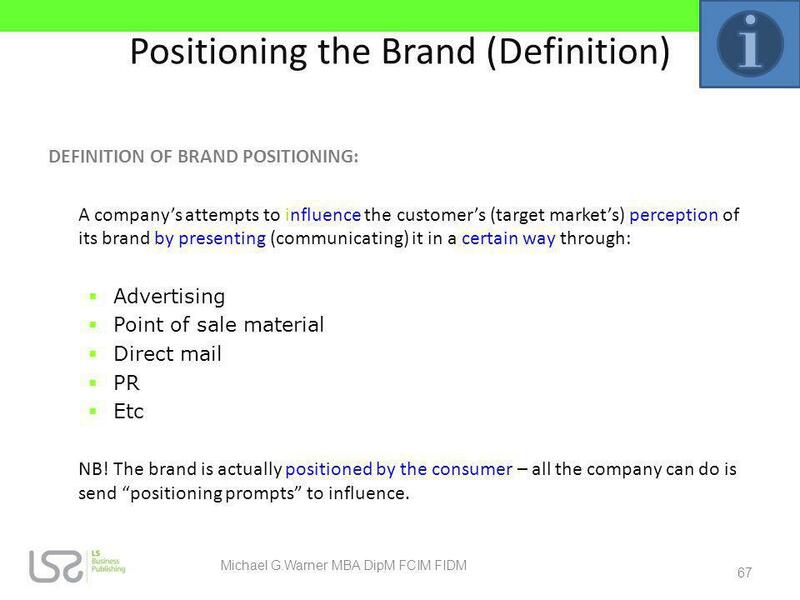 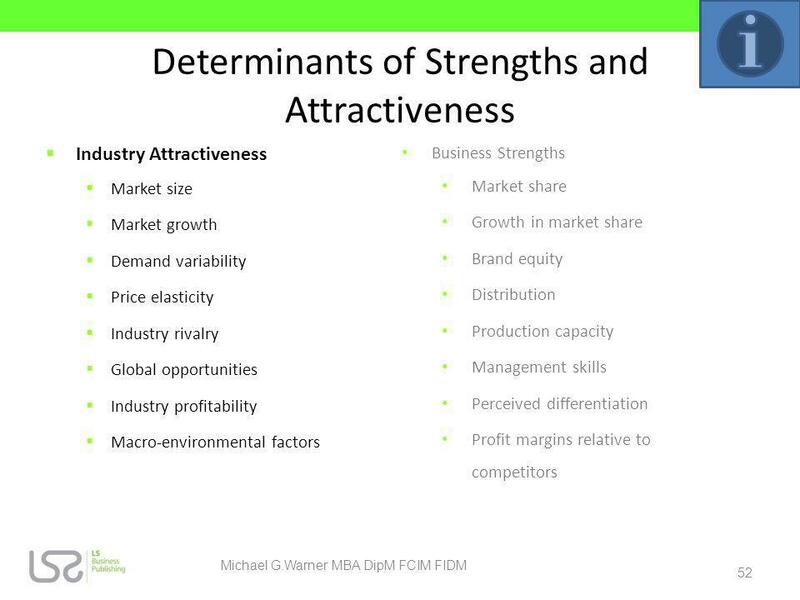 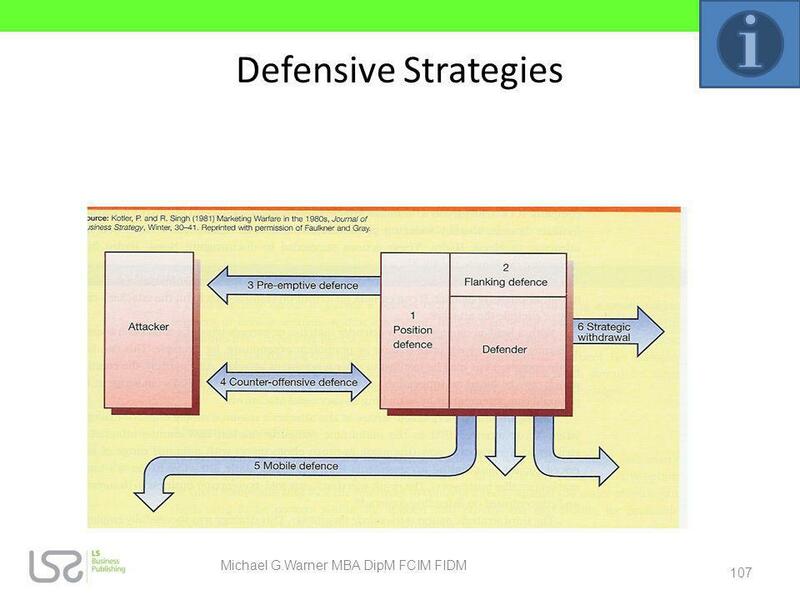 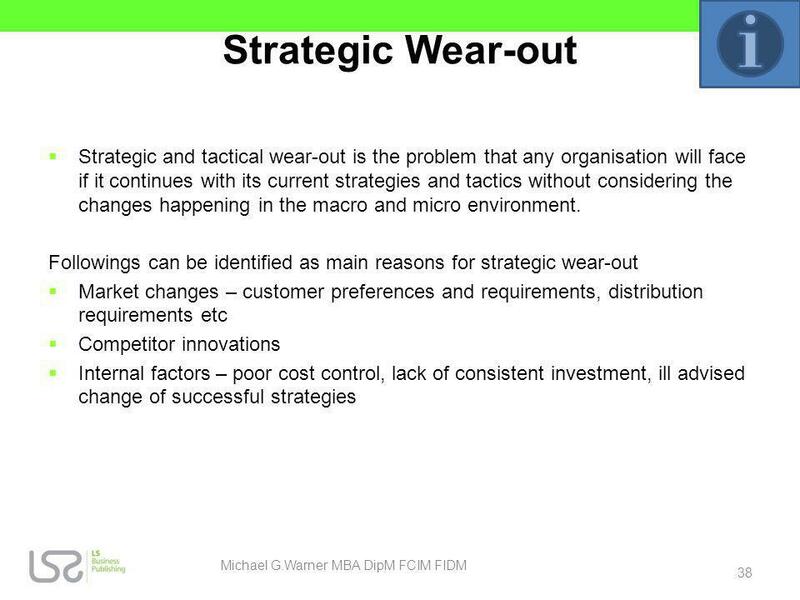 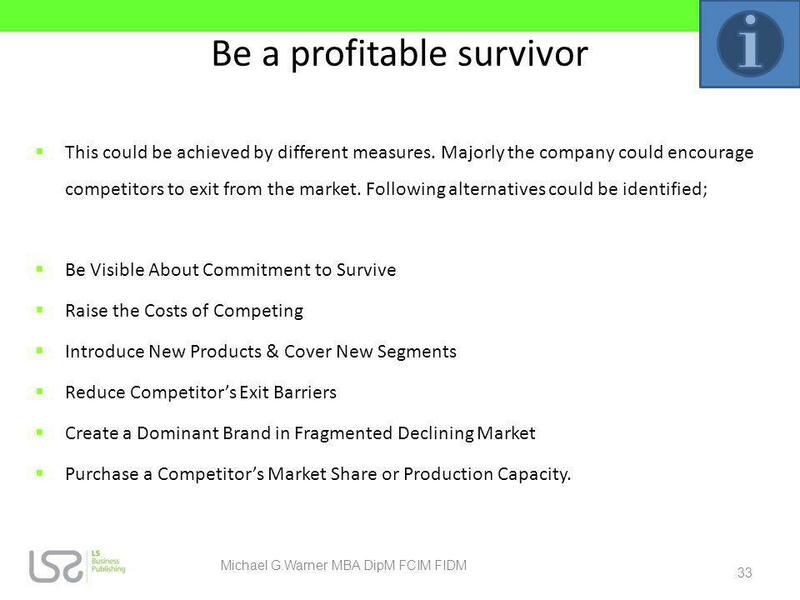 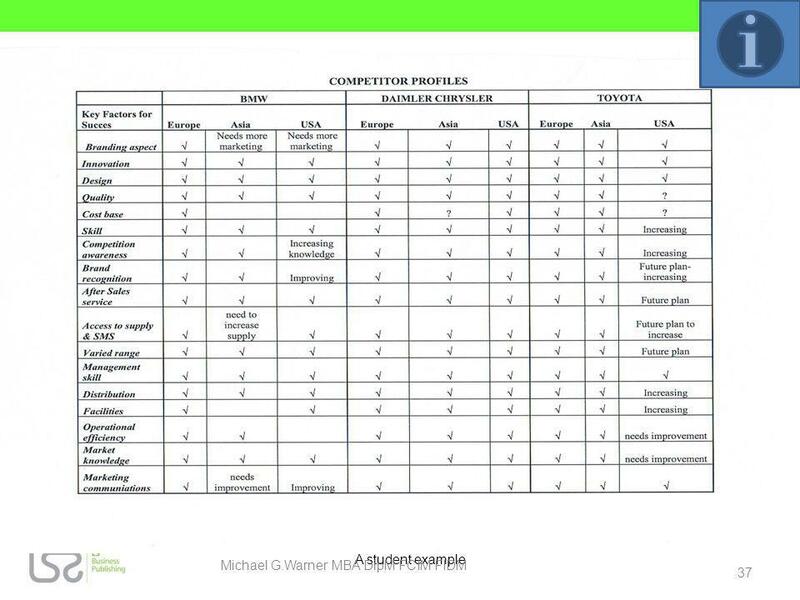 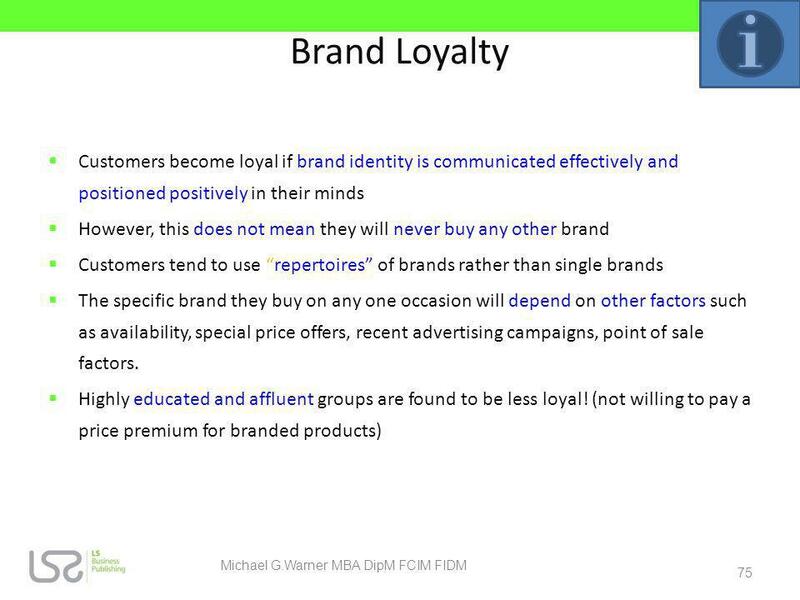 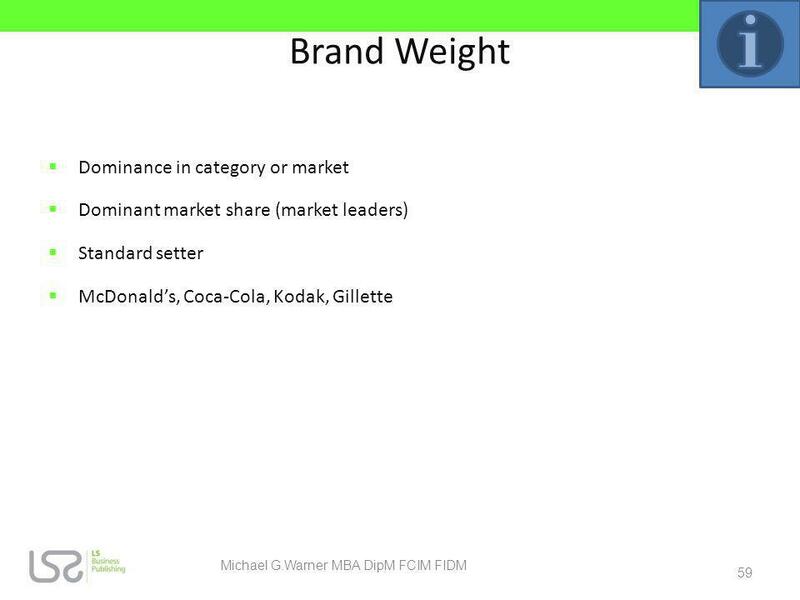 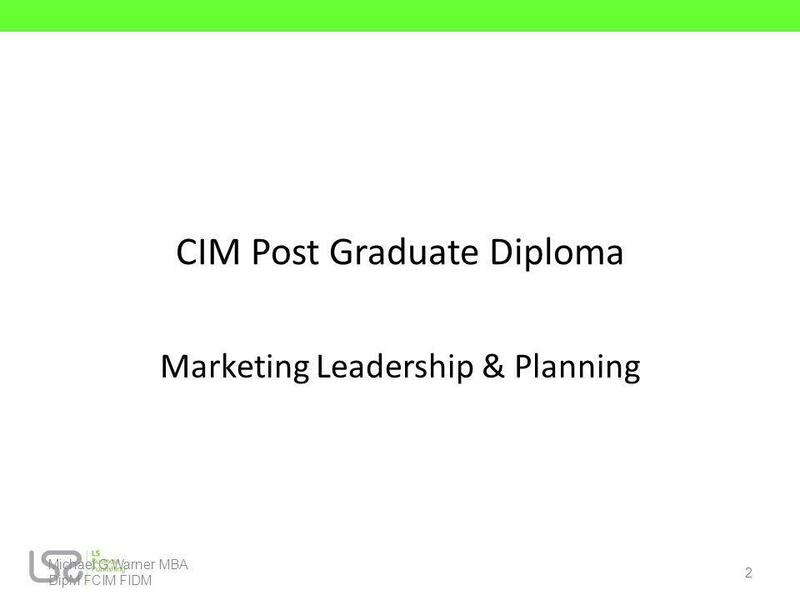 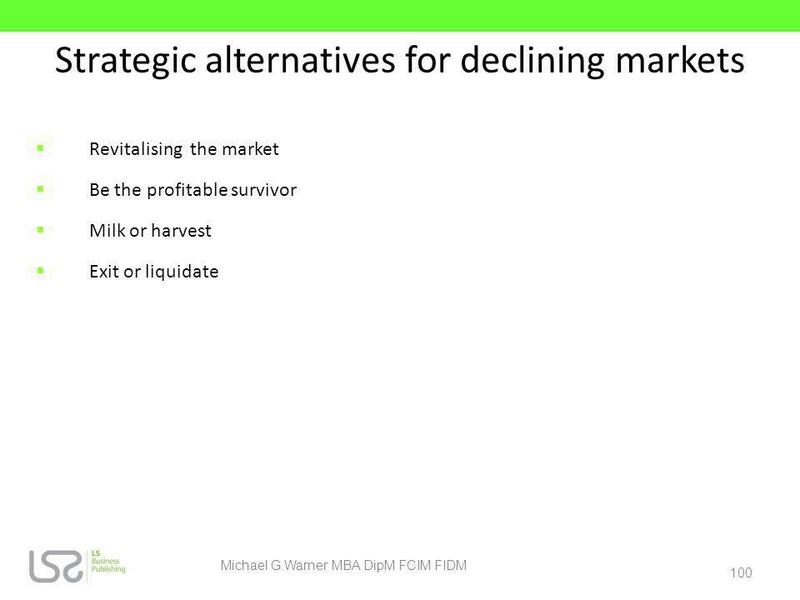 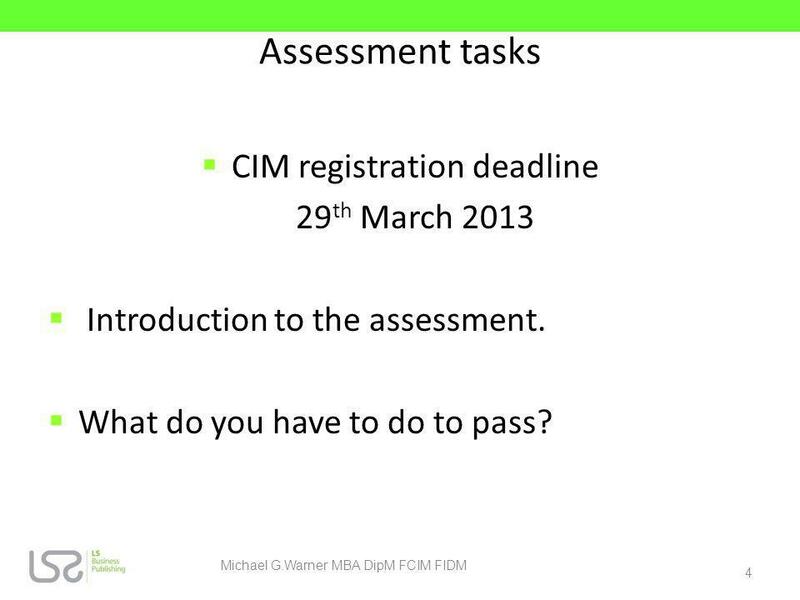 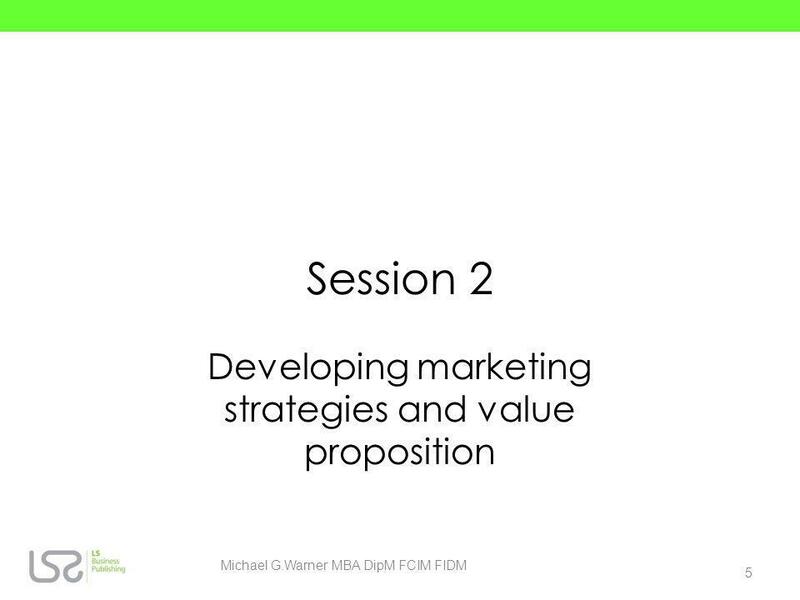 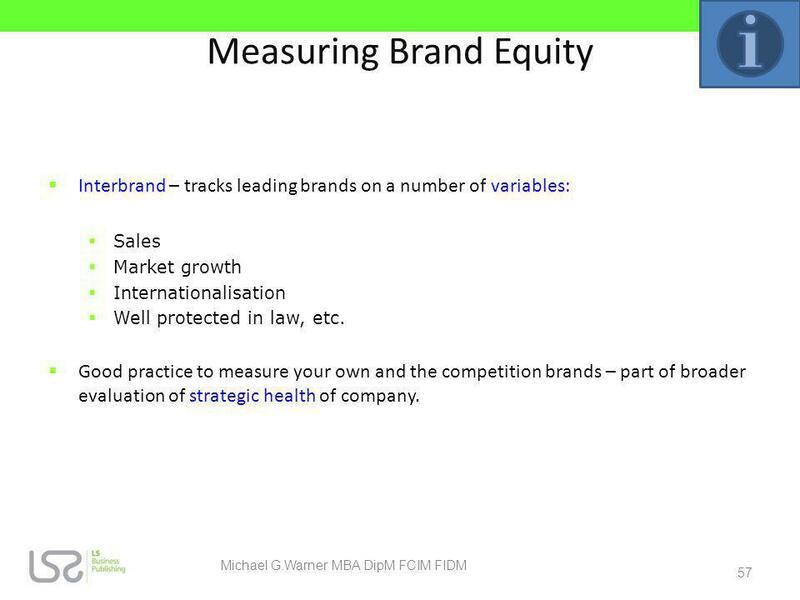 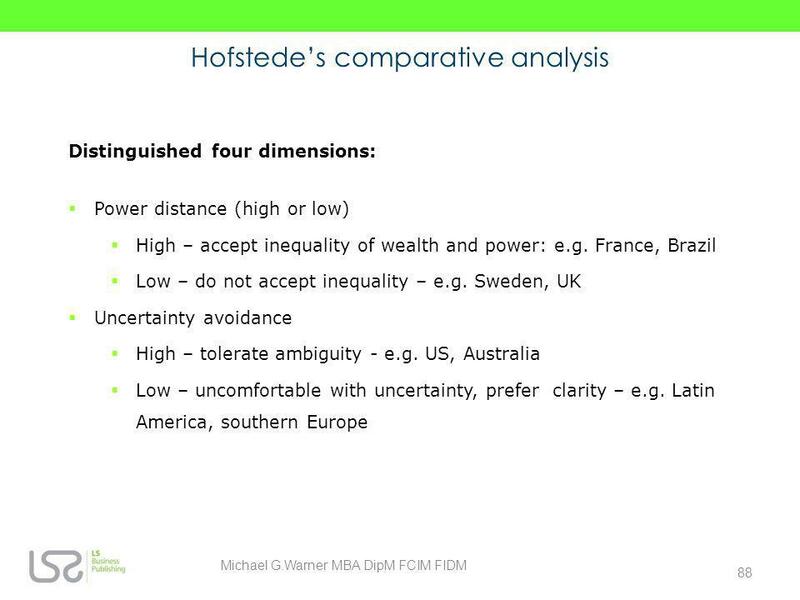 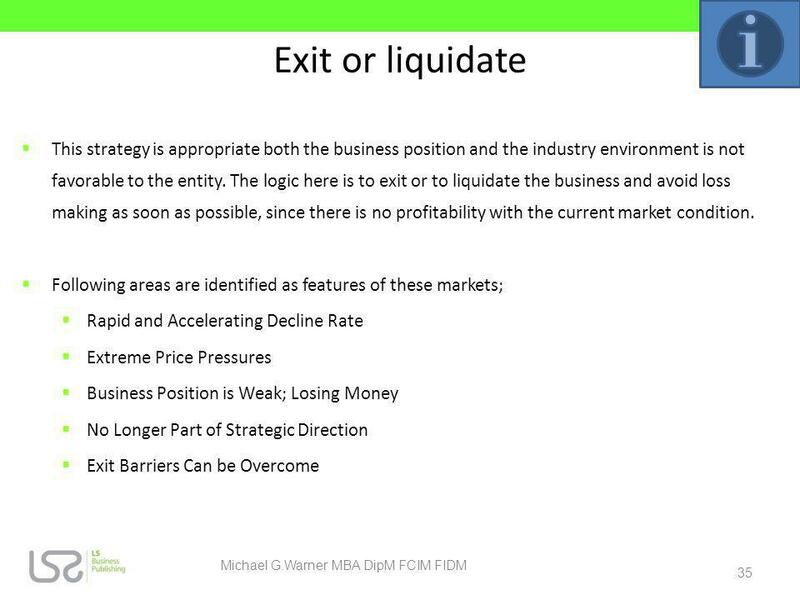 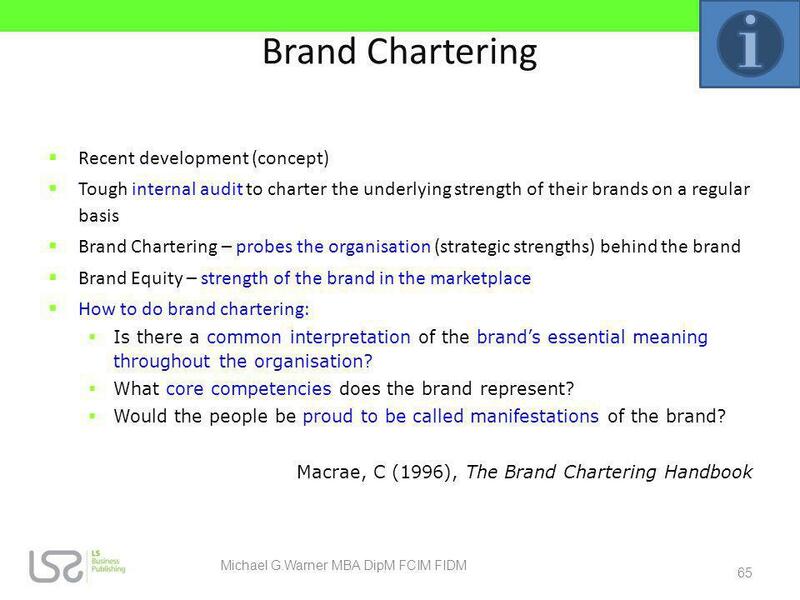 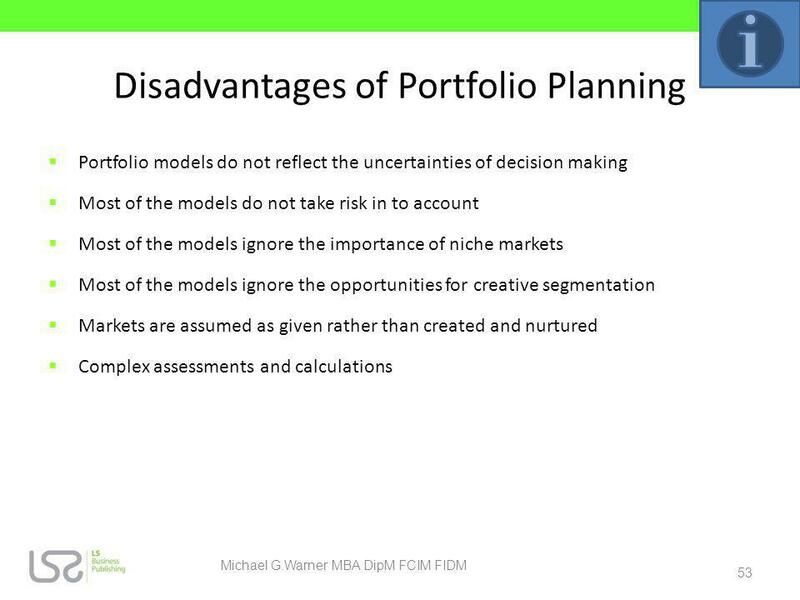 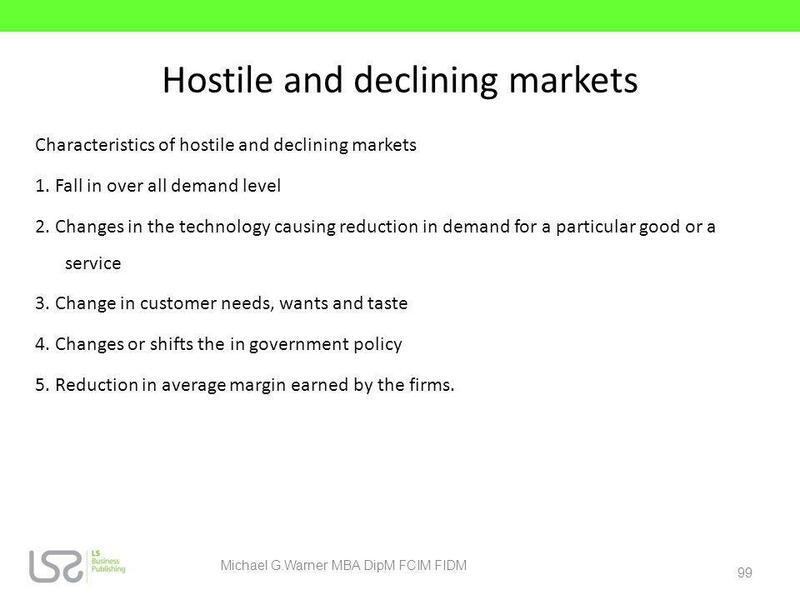 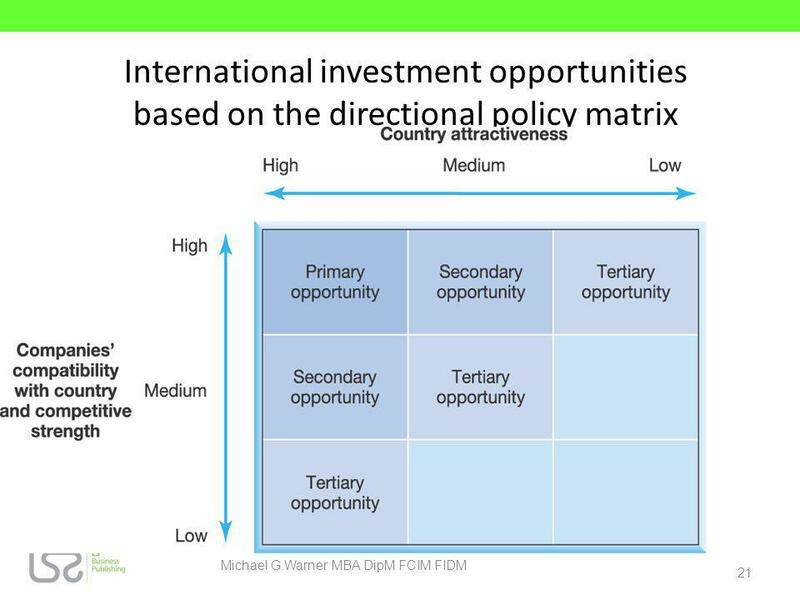 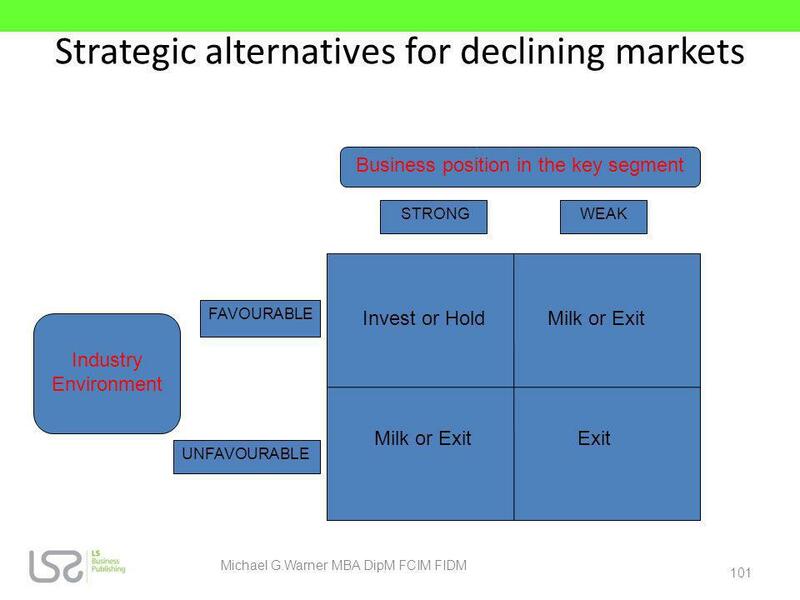 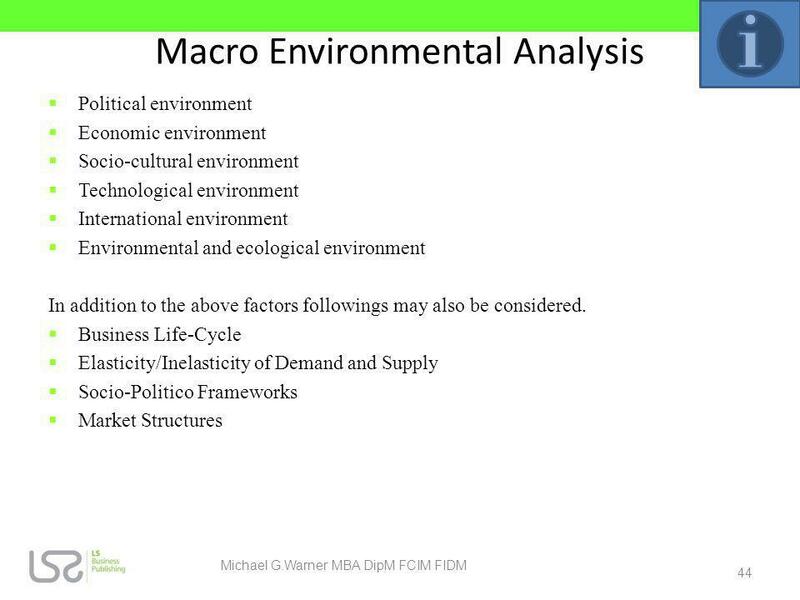 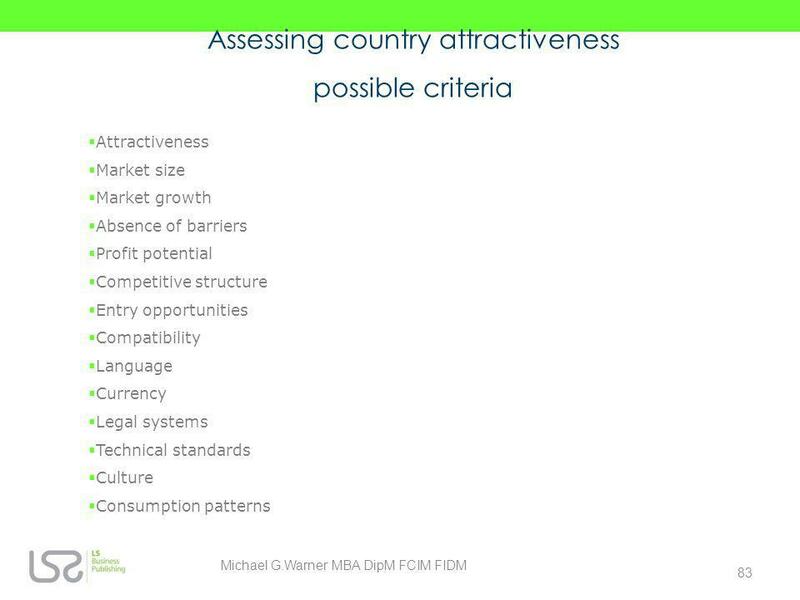 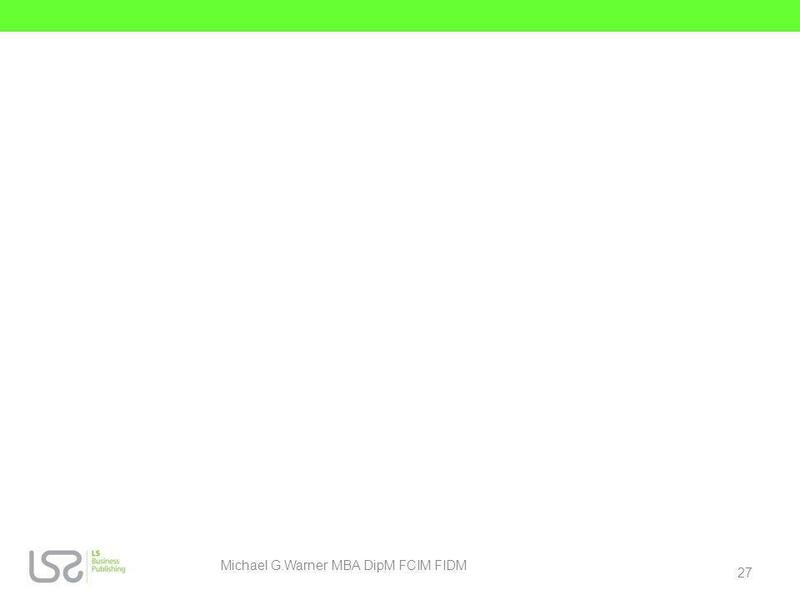 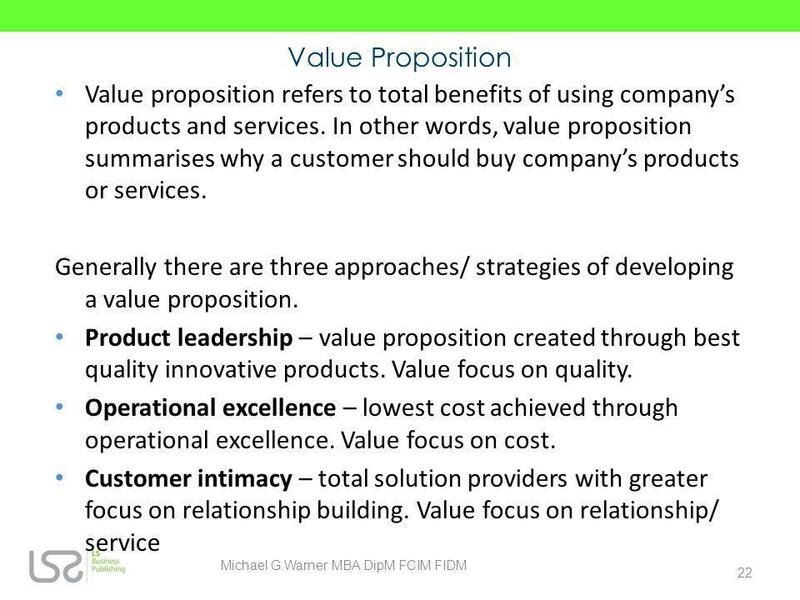 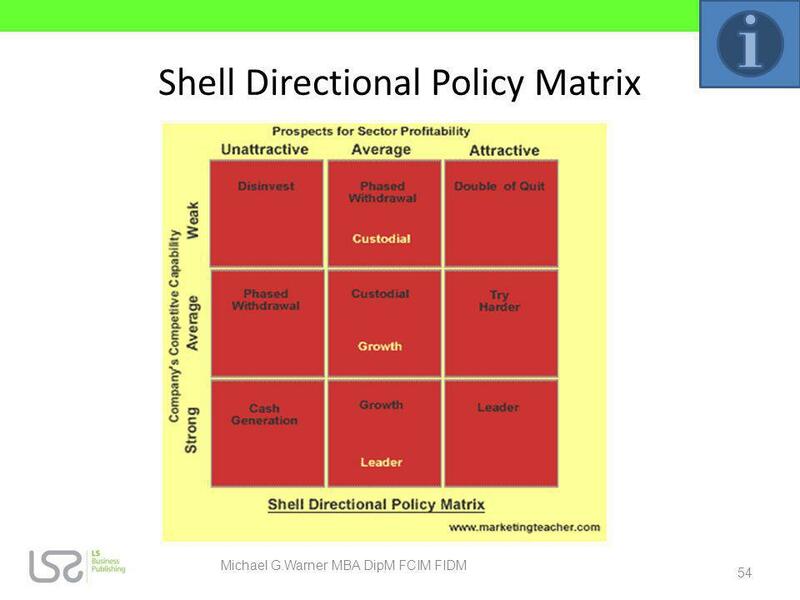 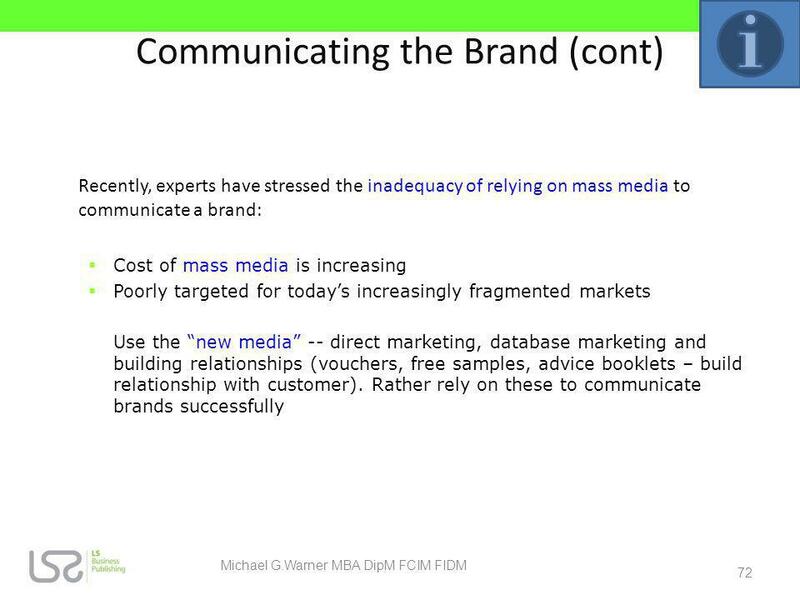 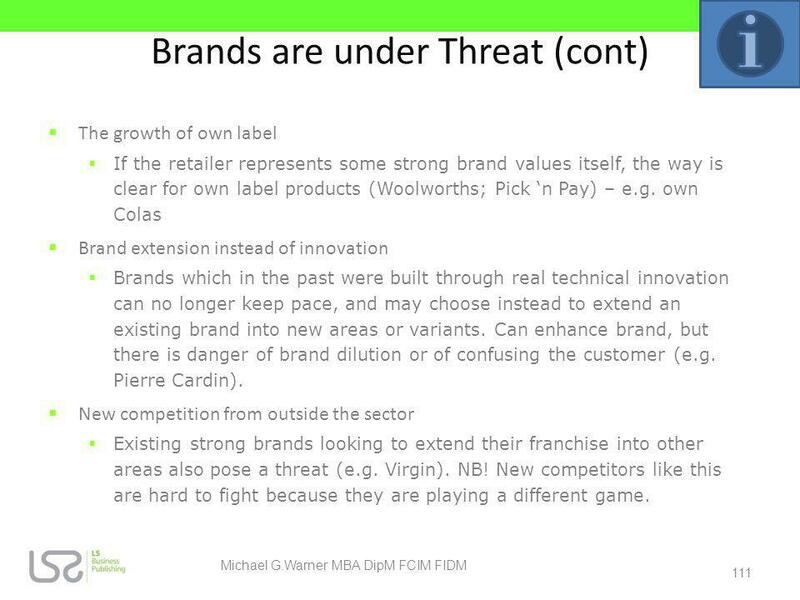 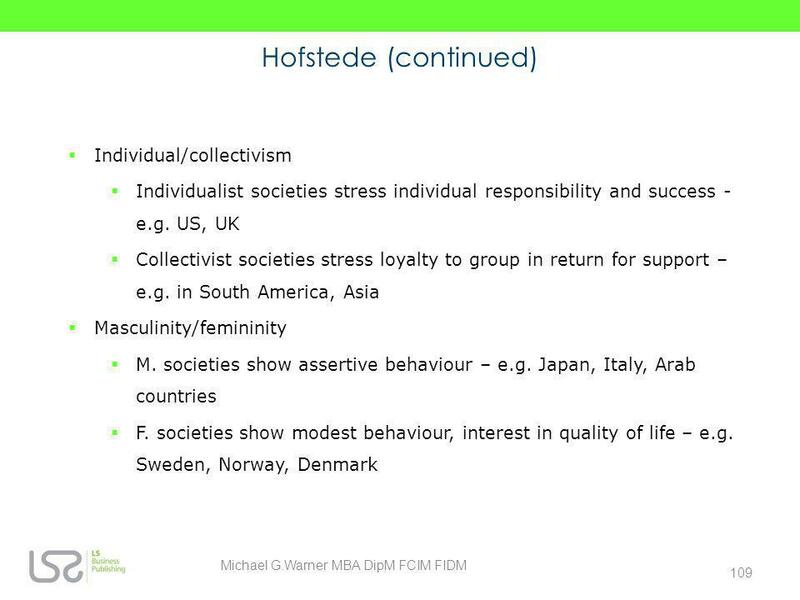 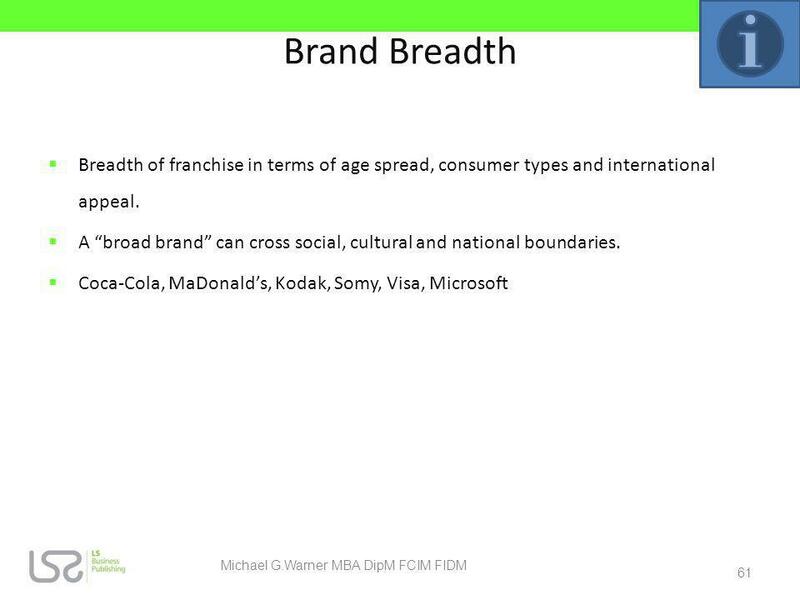 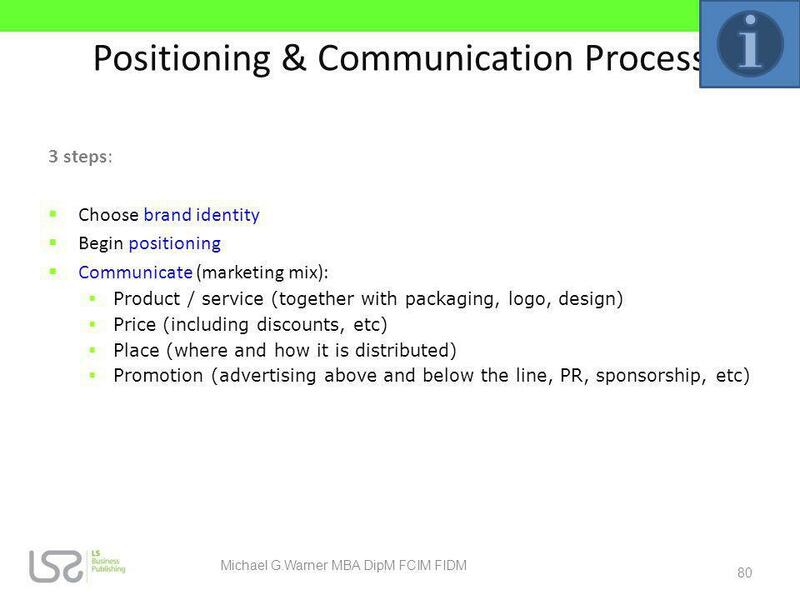 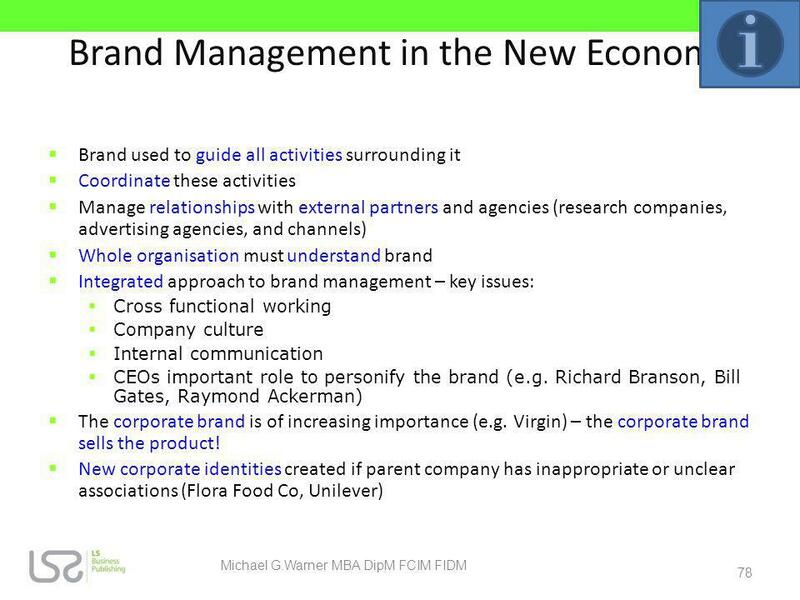 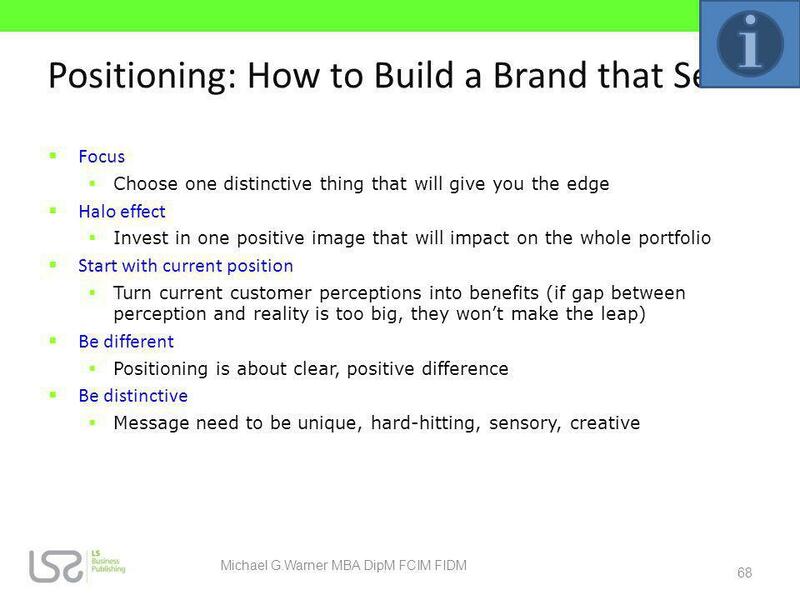 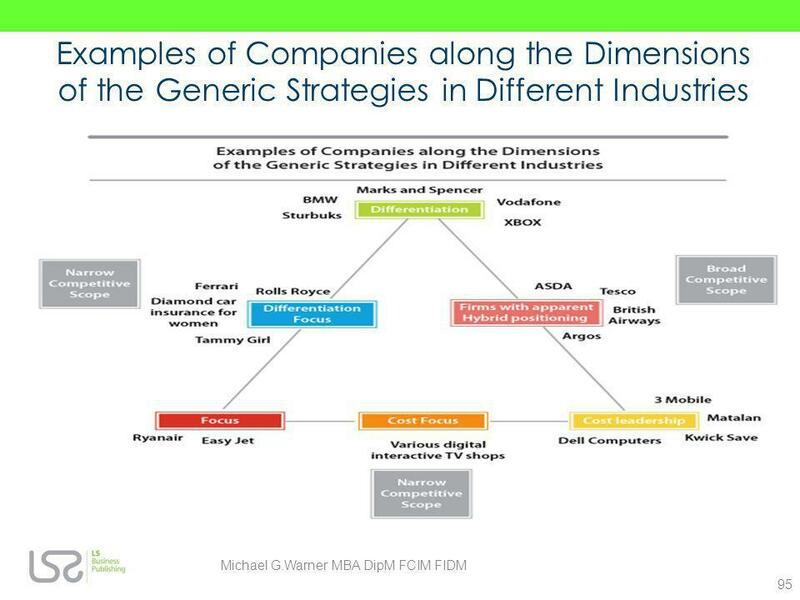 Download ppt "Michael G.Warner MBA DipM FCIM FIDM"
Strategic market choices and targets: Where to compete and where not to Lecture 6 1. 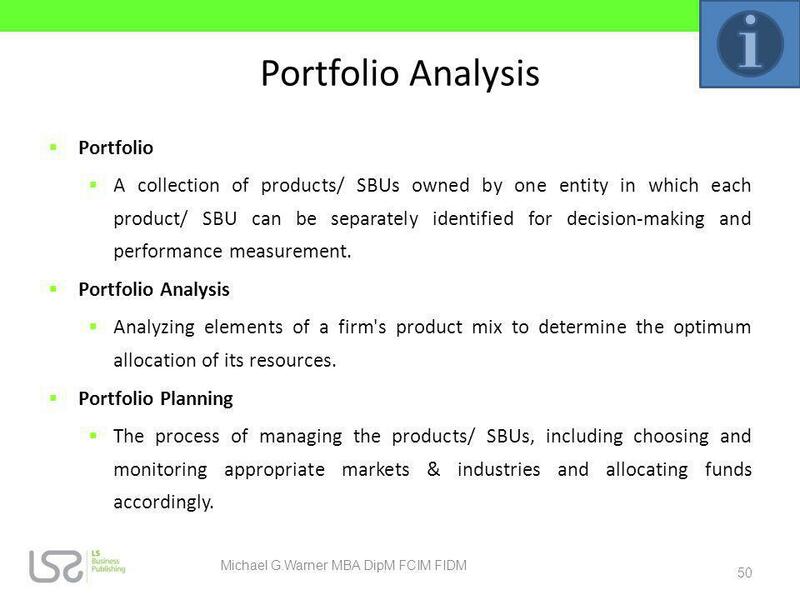 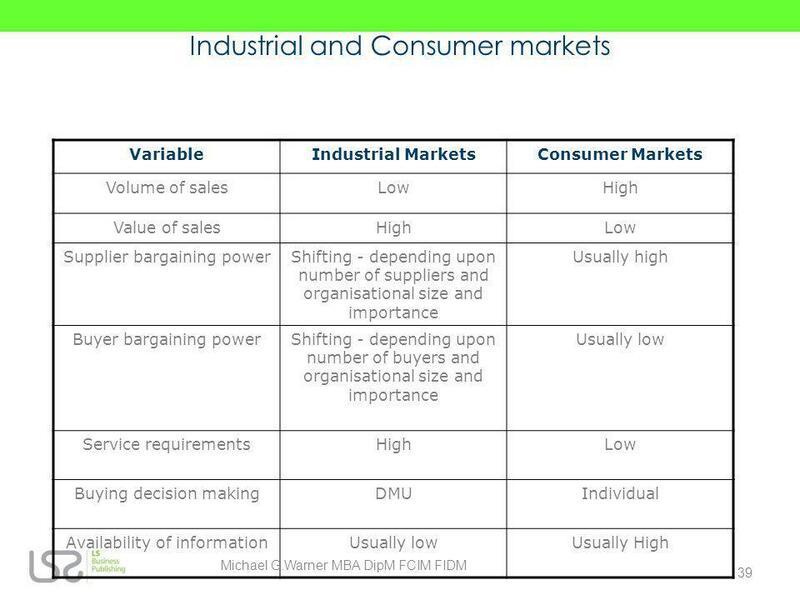 Market Analysis Learning Unit 3. 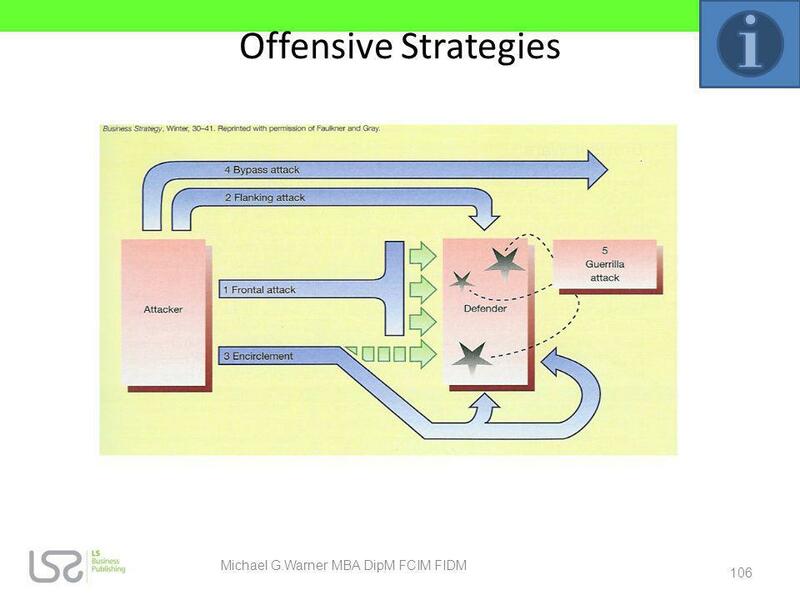 Chapter 28 Promotion and Place Name 12 SAM. 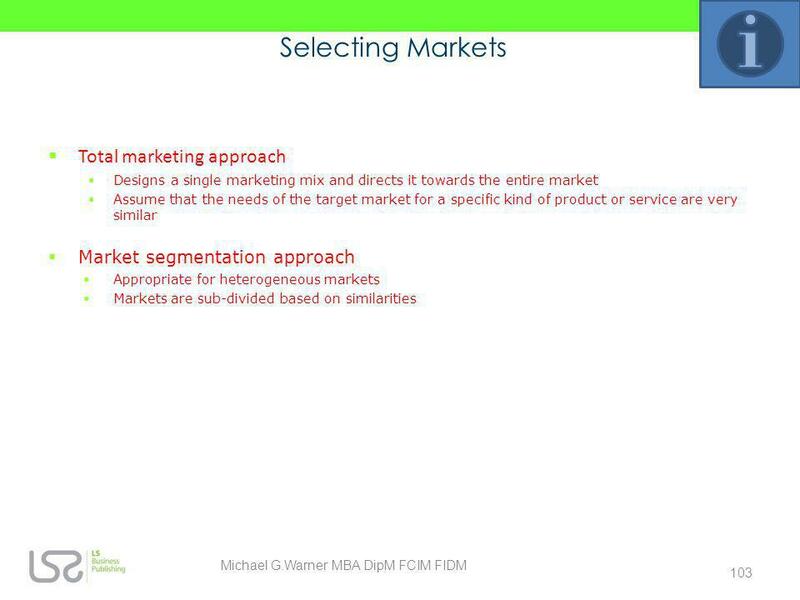 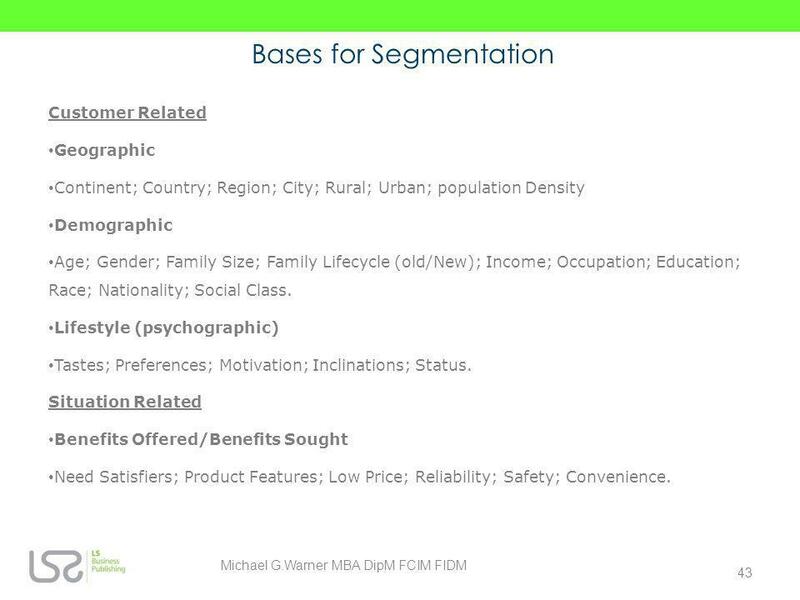 Module 3 Market segmentation Dr. Mohamed Zamil AL-Akhtaby. 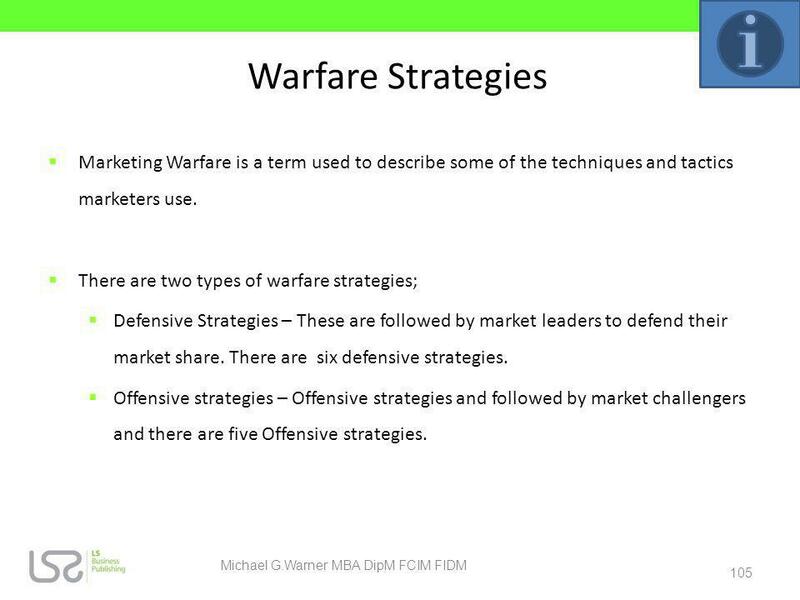 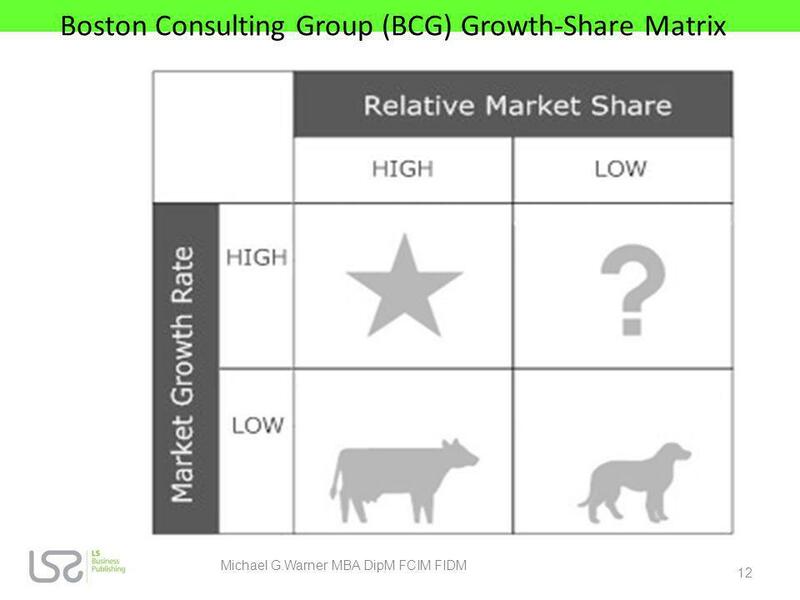 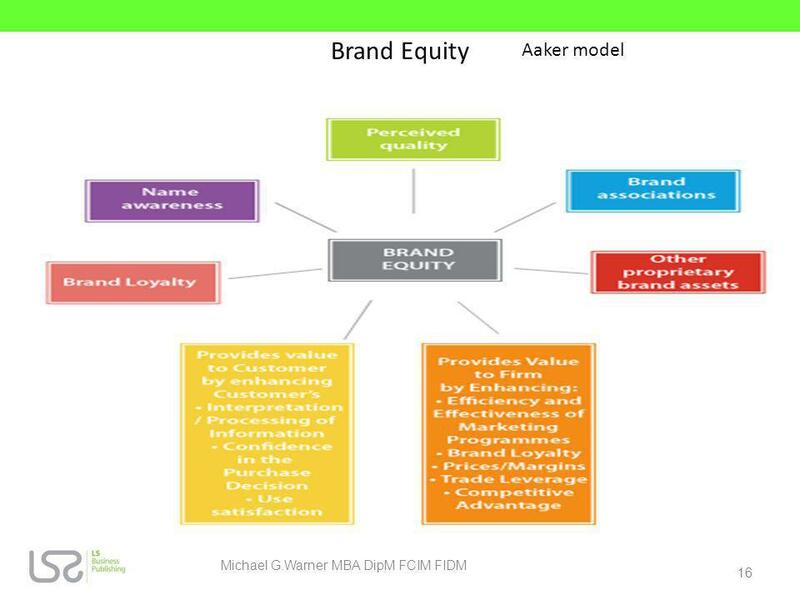 Market sensing and learning strategy Strategic market choices and targets Customer value strategy and positioning Strategic relationships and networks. 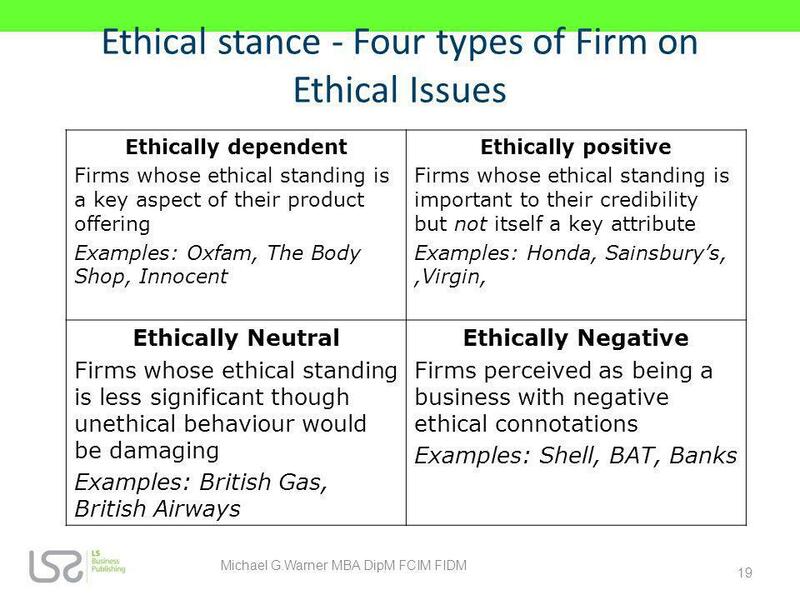 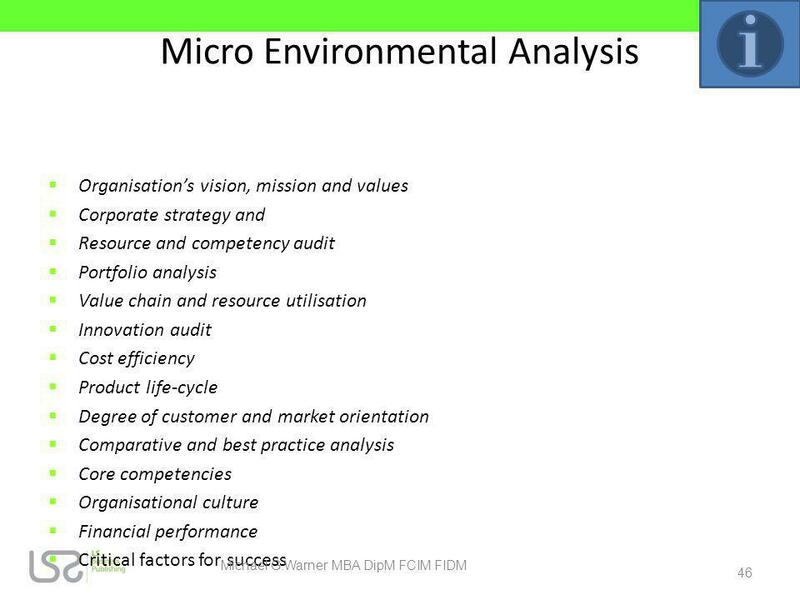 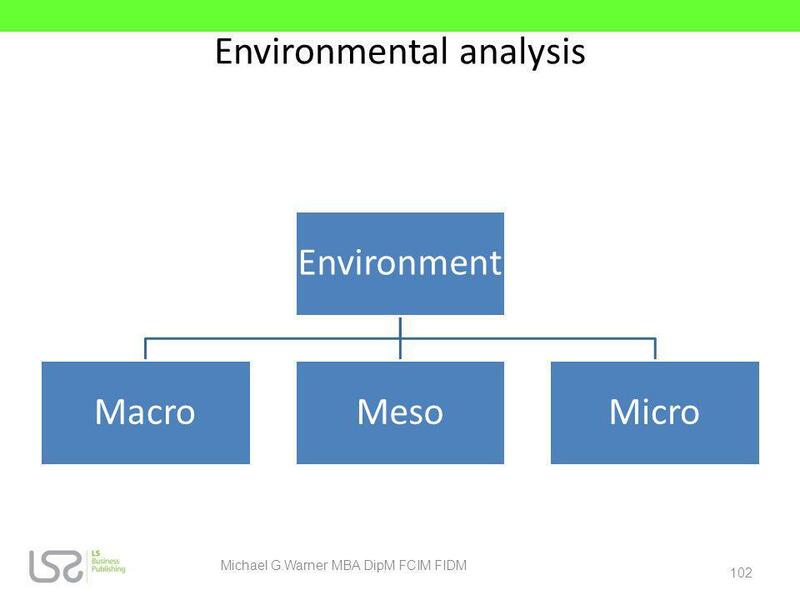 Chapter 2: The External Environment: Opportunities, Threats, Industry Competition and Competitor Analysis Overview: The firm’s external environment.